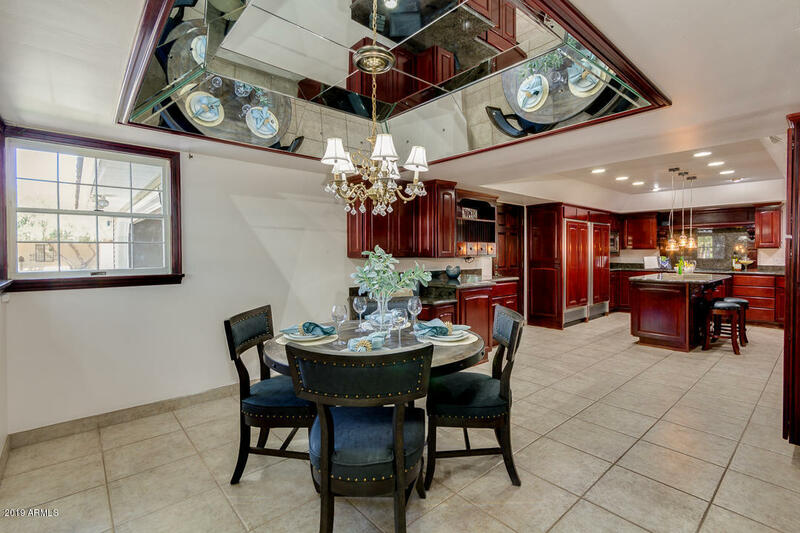 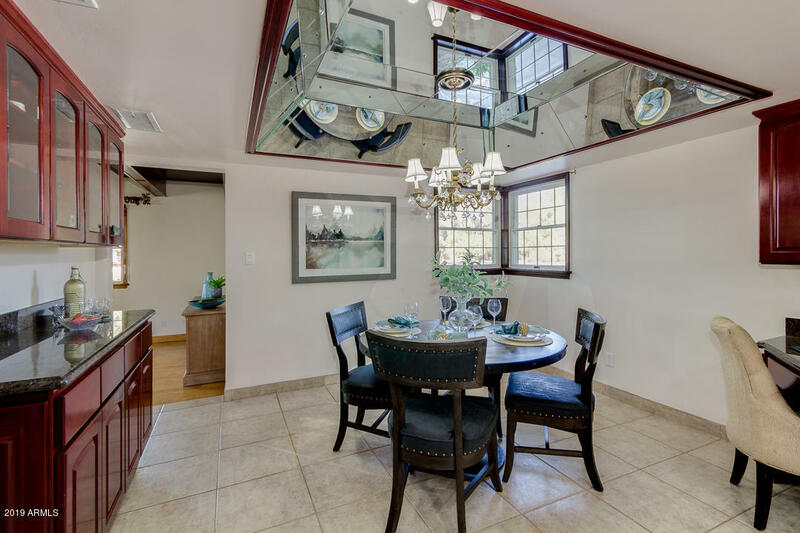 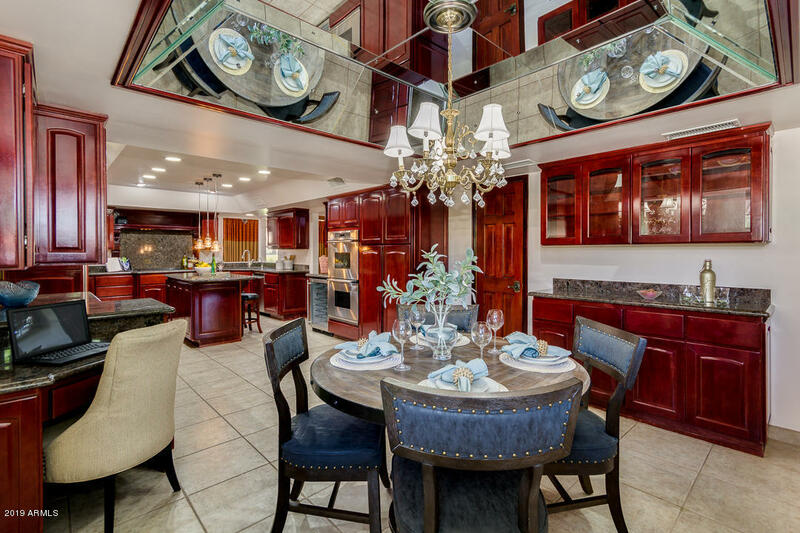 This one-of-a-kind spectacular home in the heart of Tempe is now on the market. 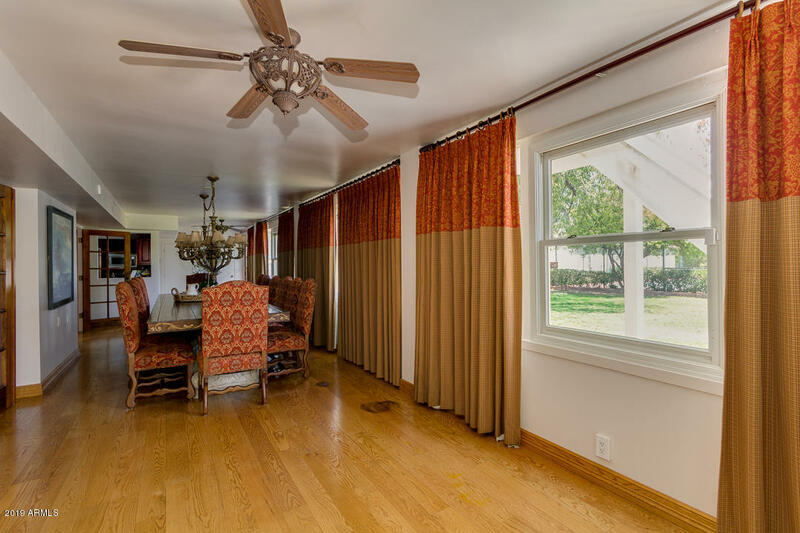 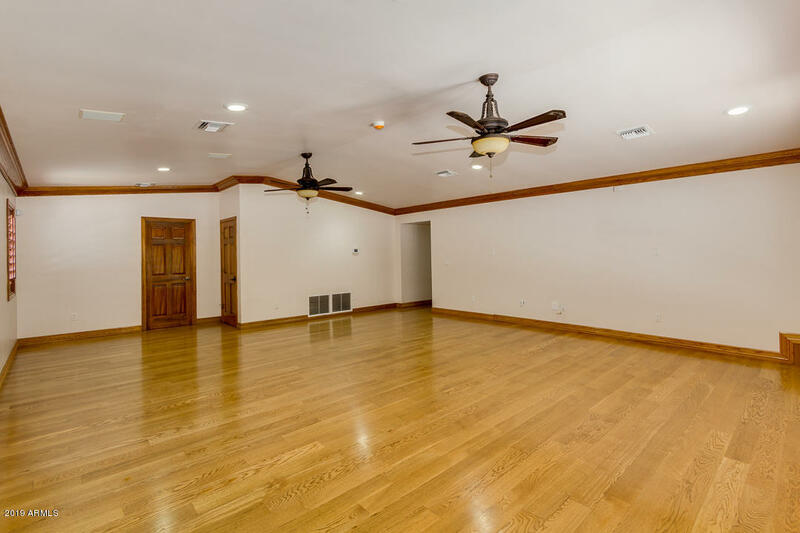 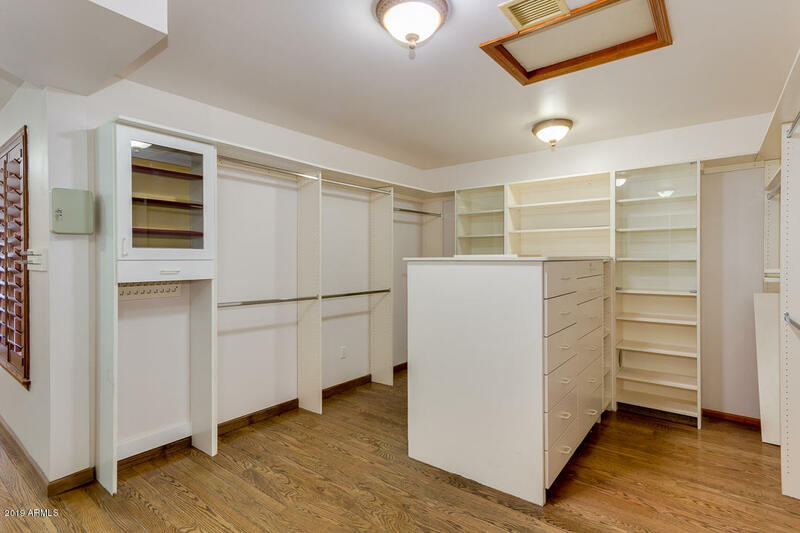 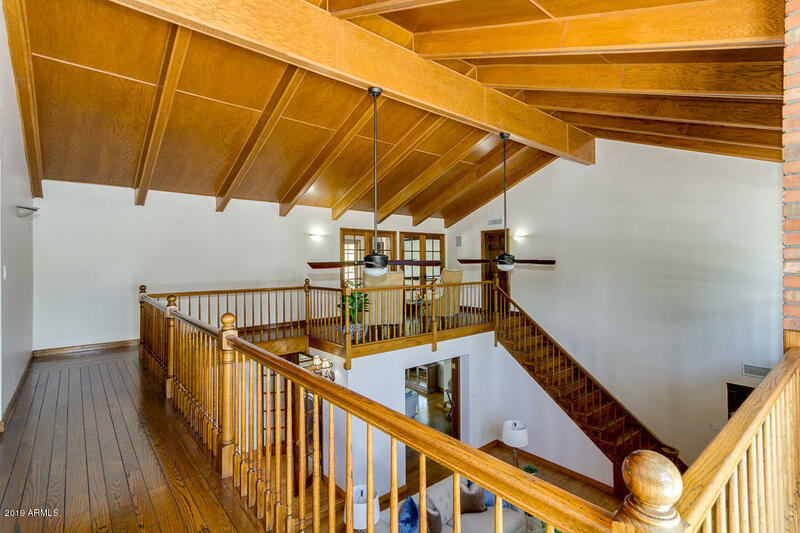 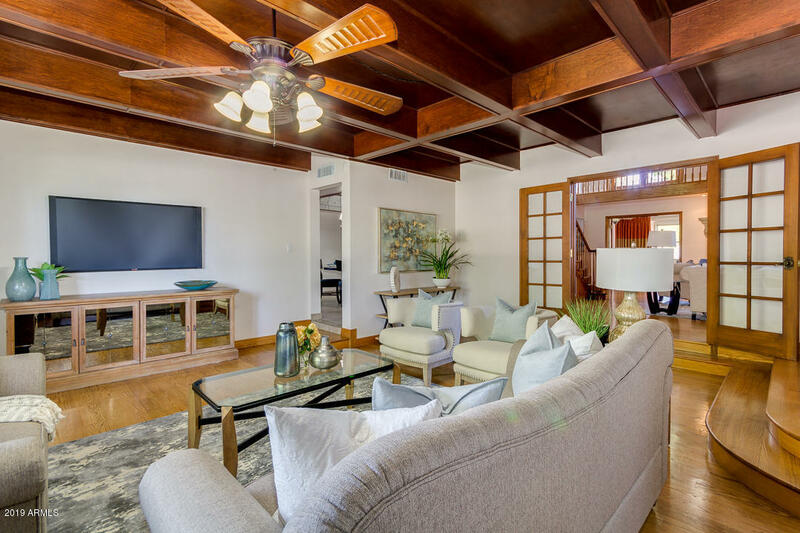 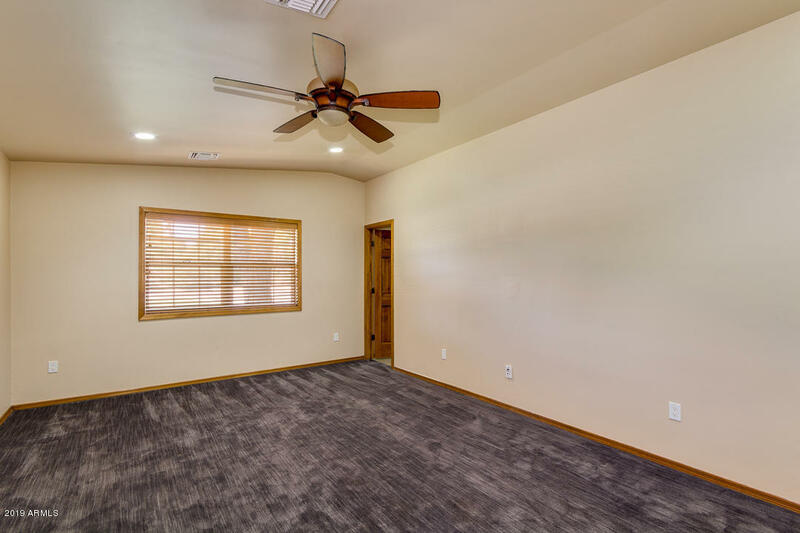 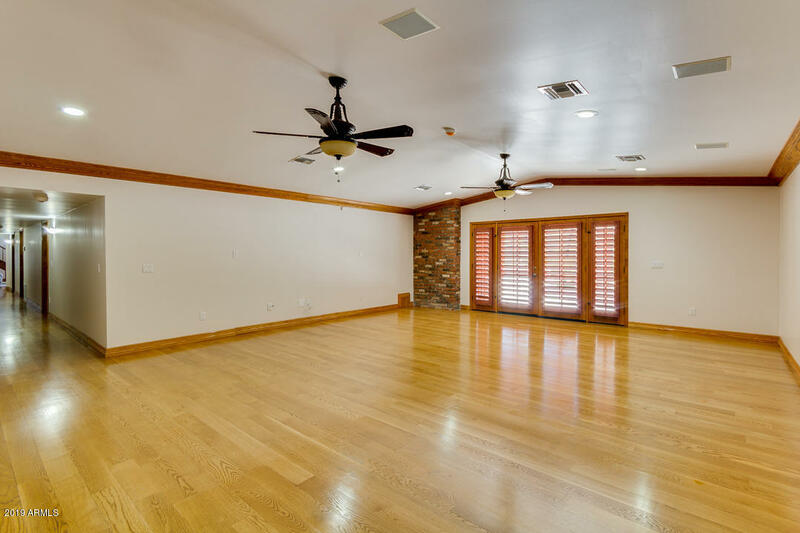 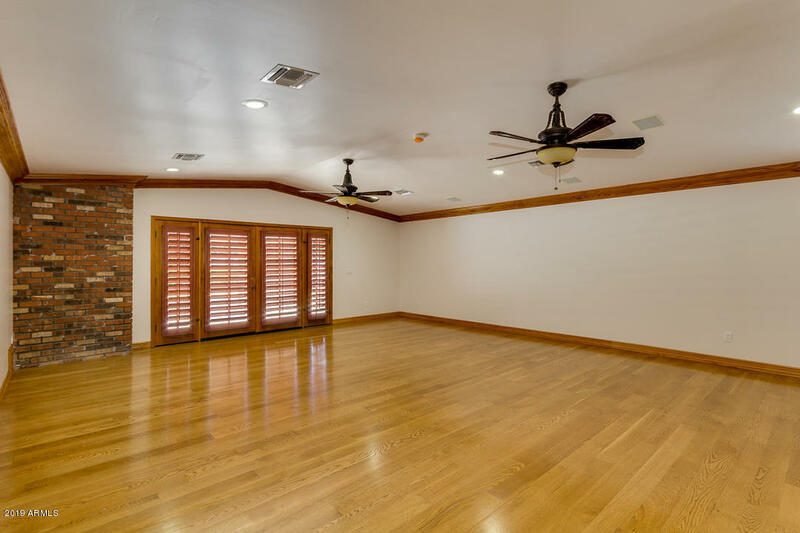 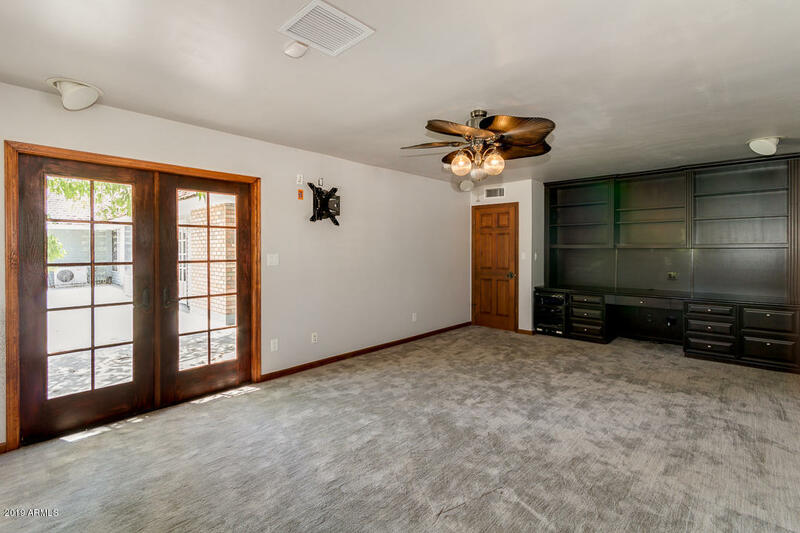 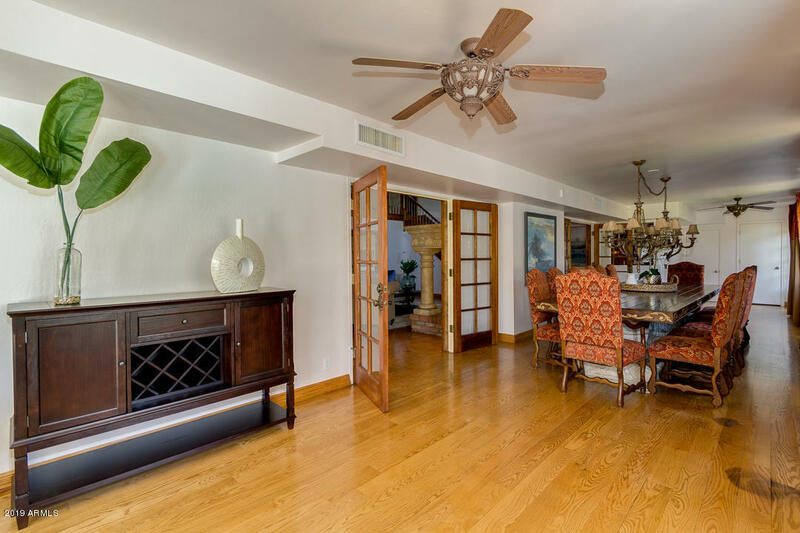 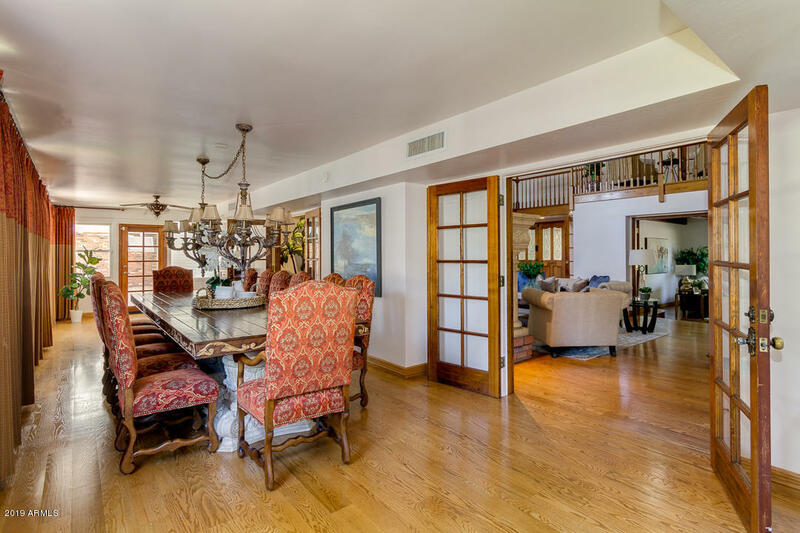 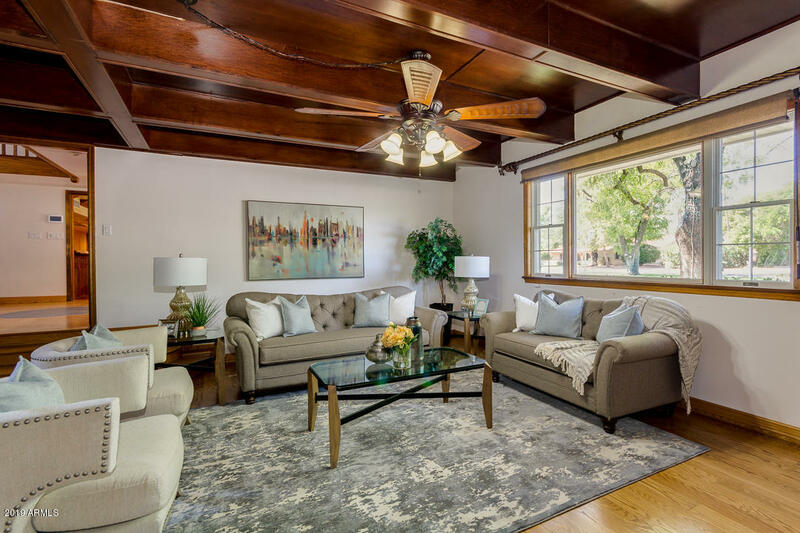 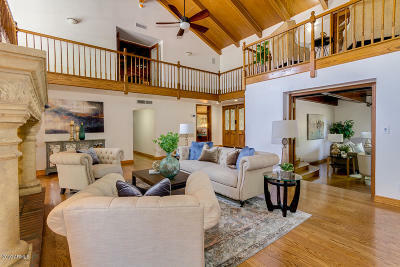 This home has over 11K sqft of livable space, 8,495 sqft in the main house, 800 sqft guest quarters, and a 2,400 sqft air-conditioned multipurpose space that is currently being used as a family workout gym, but can be easily converted into a huge air-conditioned garage or a 2 bedroom mother-in-law suite/casita. 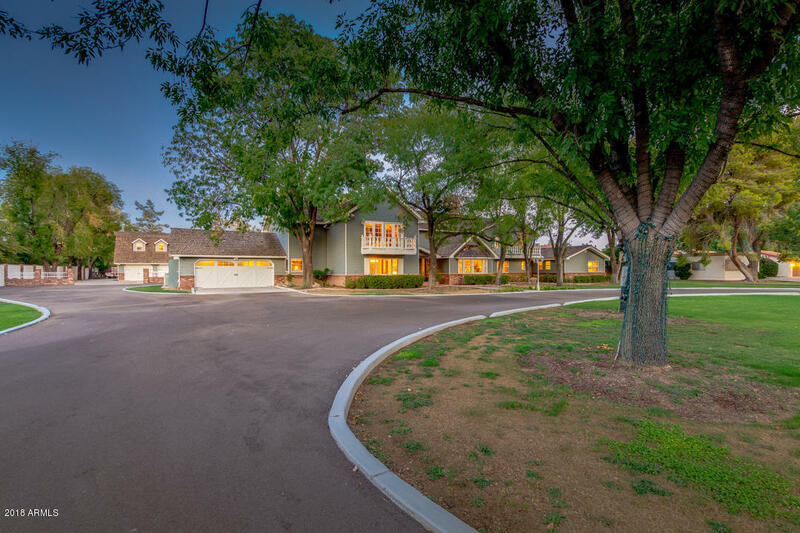 As you drive up to the property, you will notice a circular drive that curves around to the back of the property, and this part of the driveway has a private motorized gate which separates the front yard from the back yard. 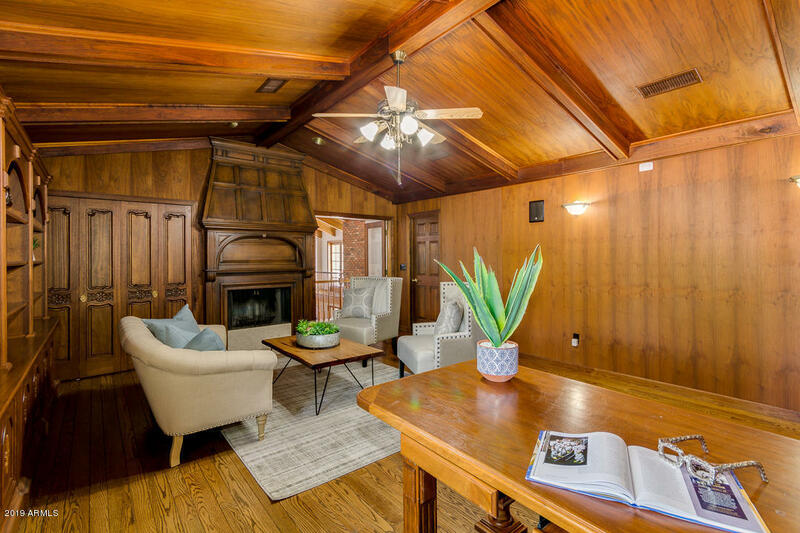 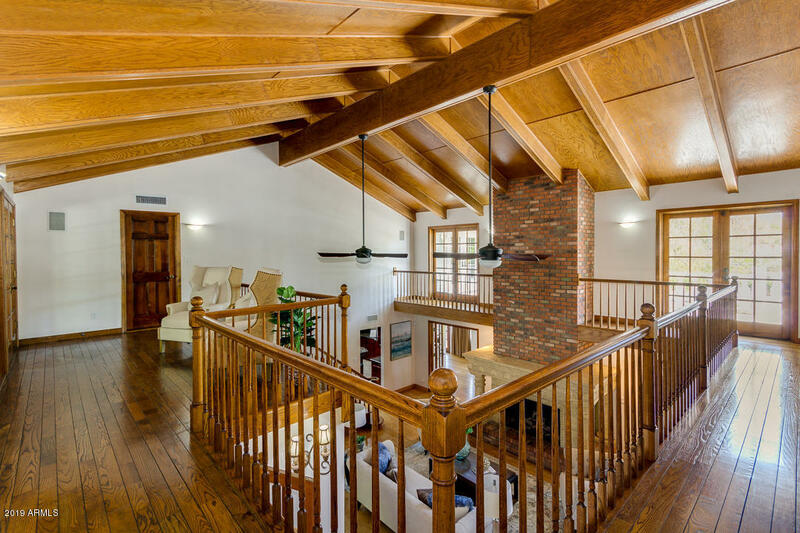 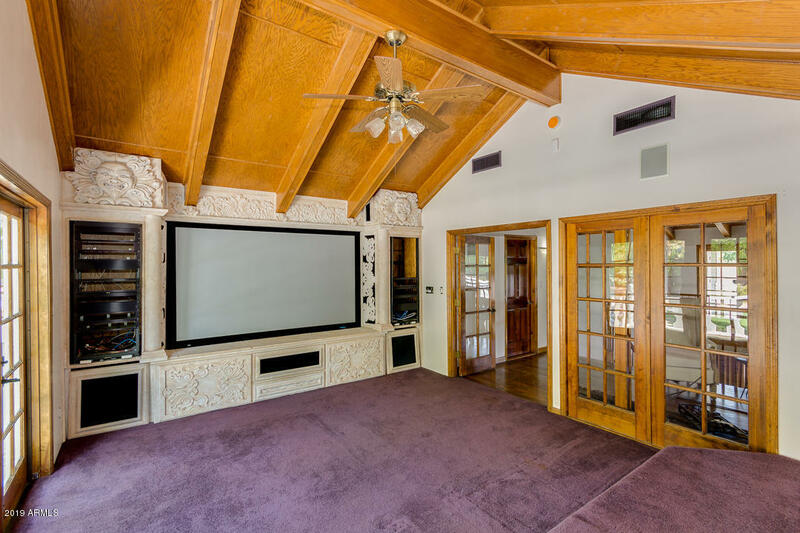 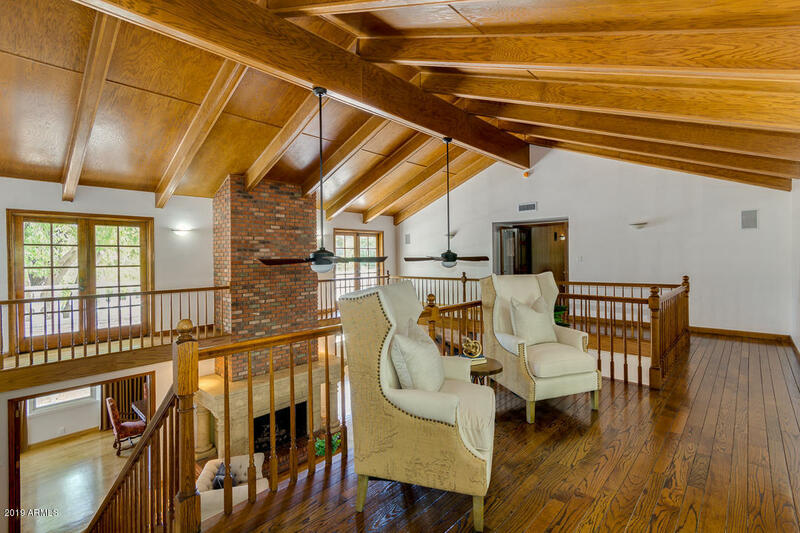 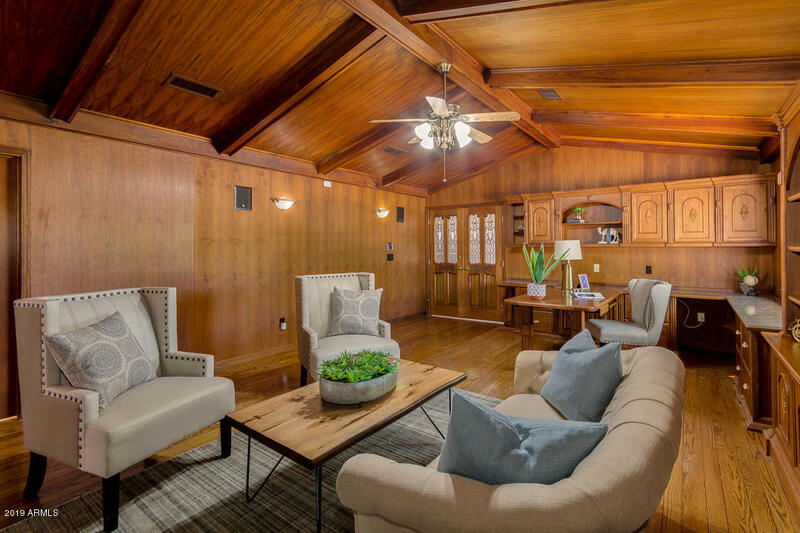 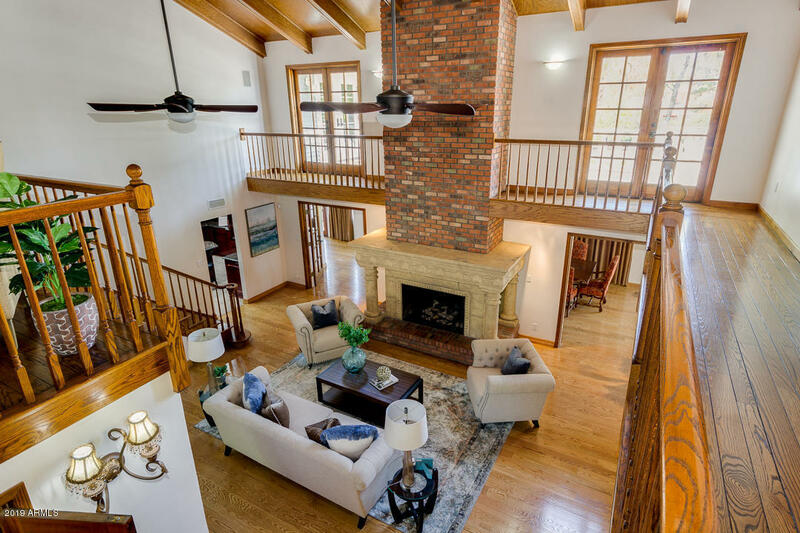 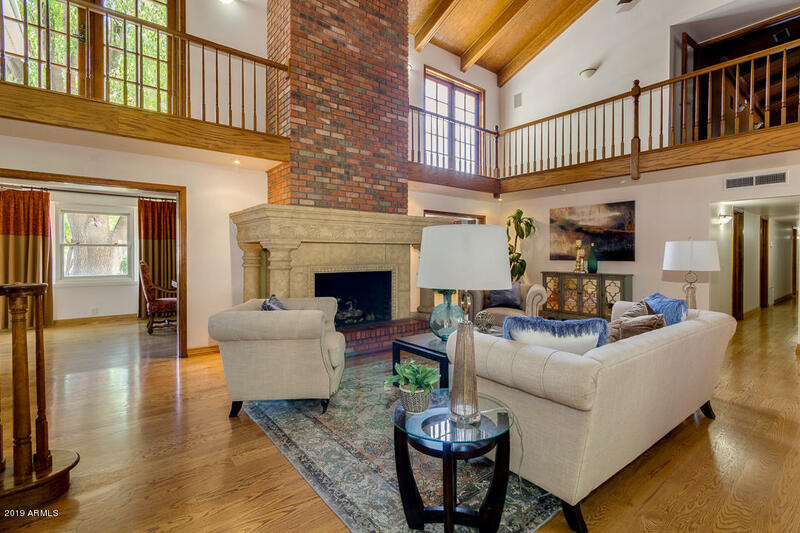 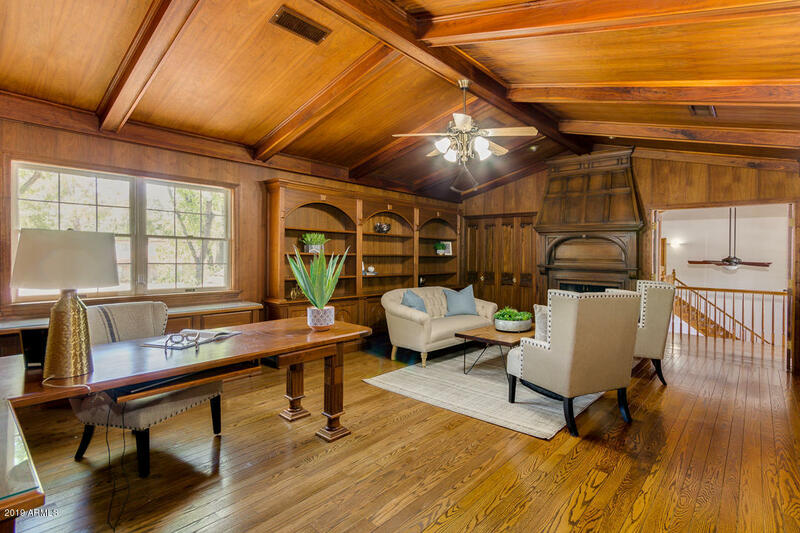 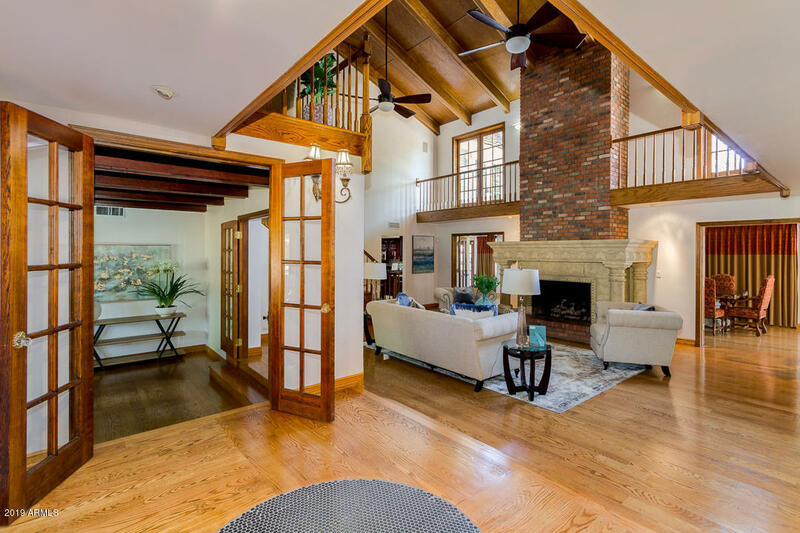 When you walk in the front door, you will be greeted with a massive 27 ft wood ceiling and custom fireplace in the front living room. 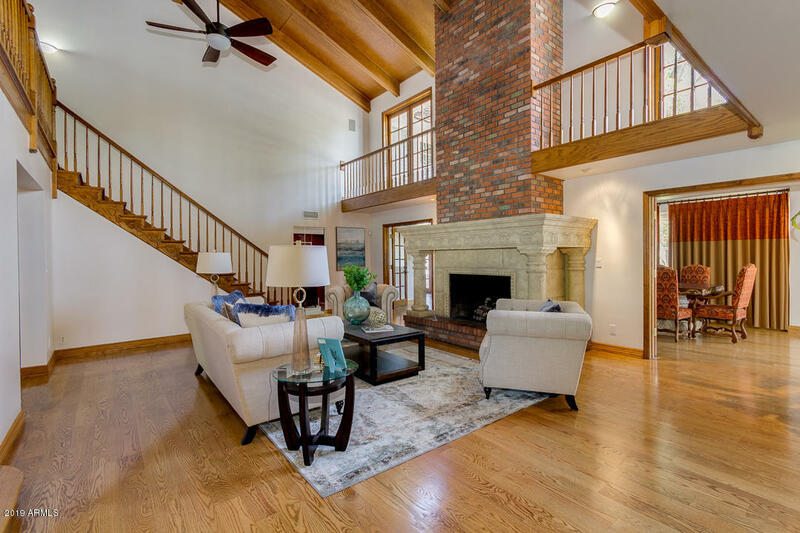 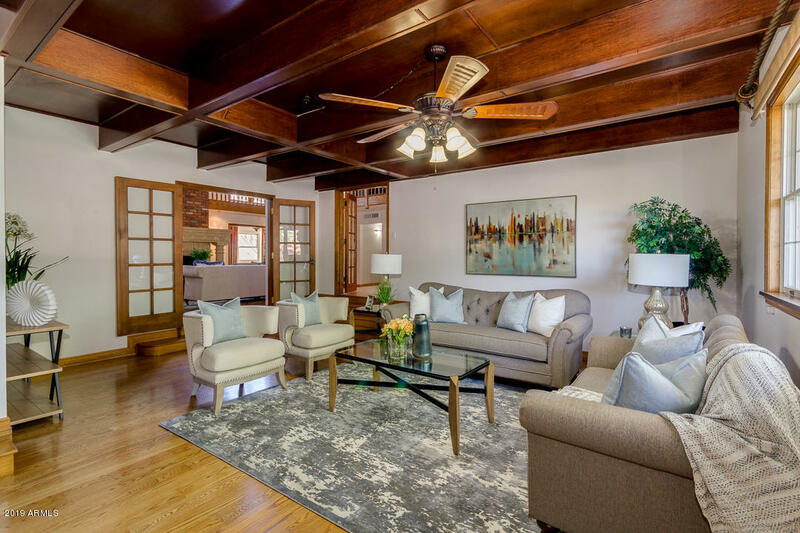 The home boasts exceptional finishes throughout wood floors, granite countertops, custom fireplaces, and custom woodworking. 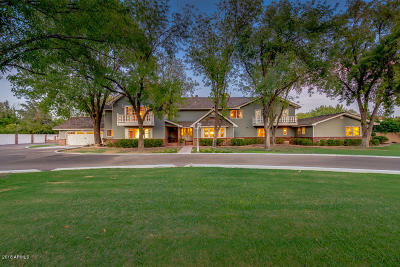 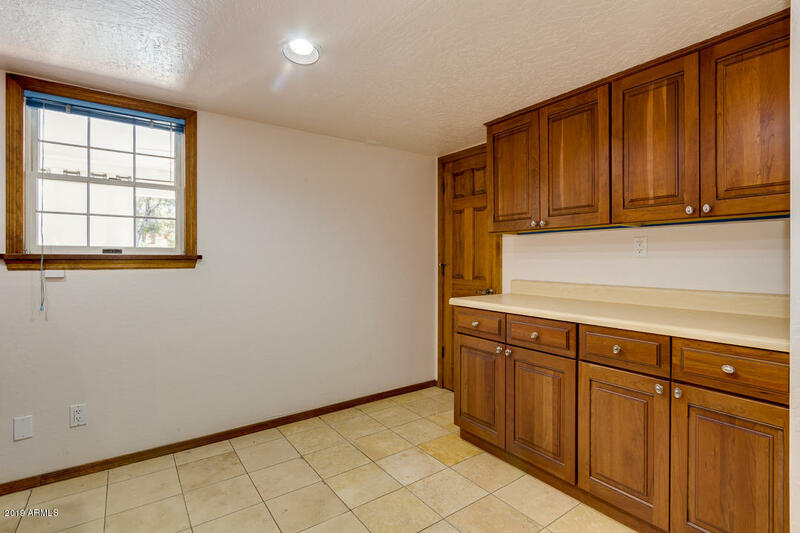 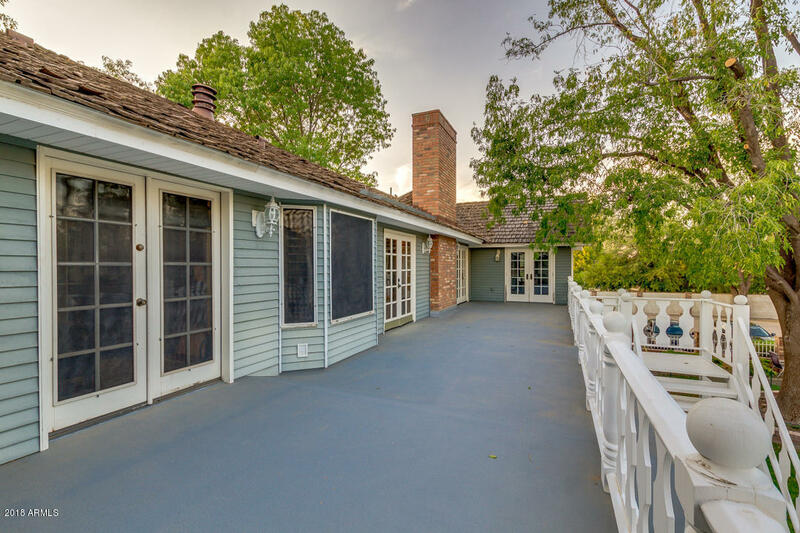 This home has also been refreshed with all new paint throughout. 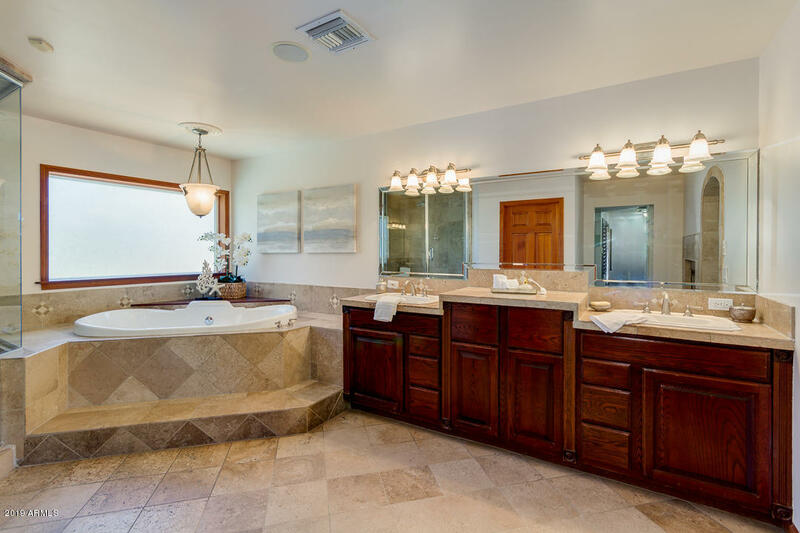 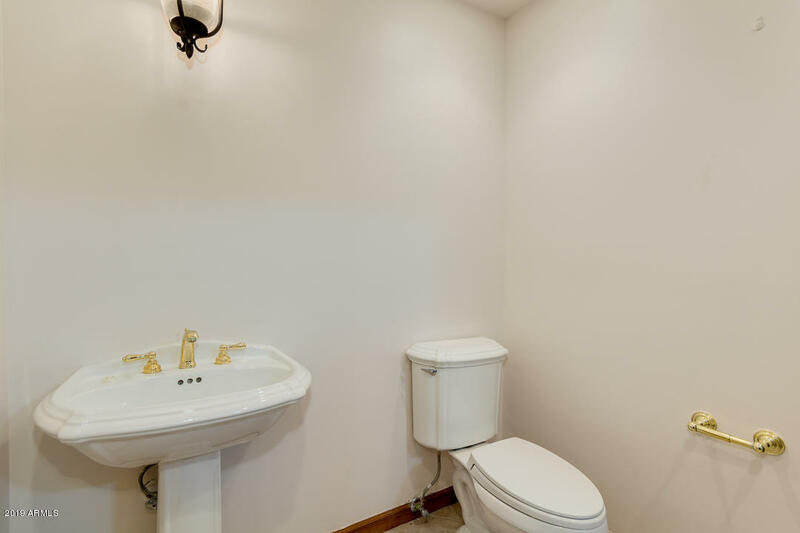 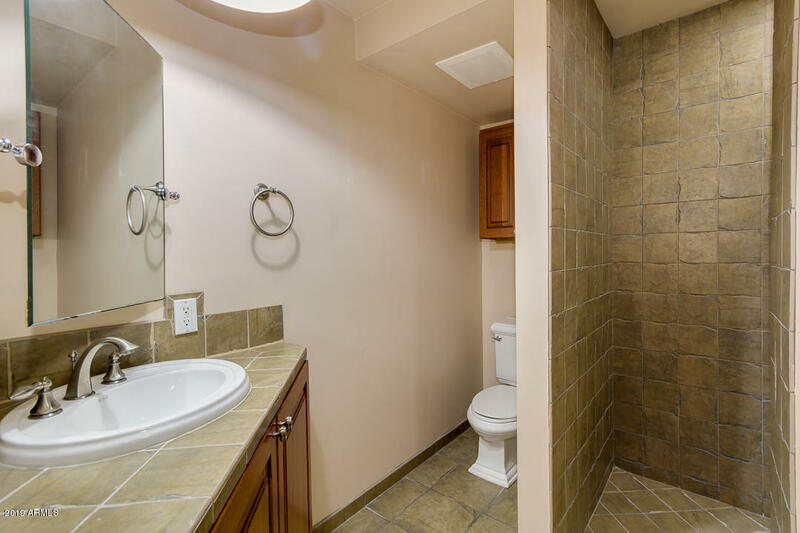 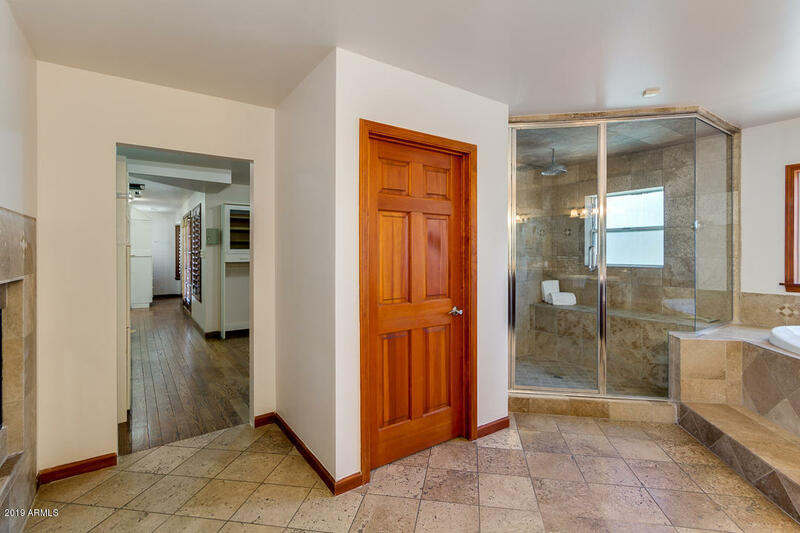 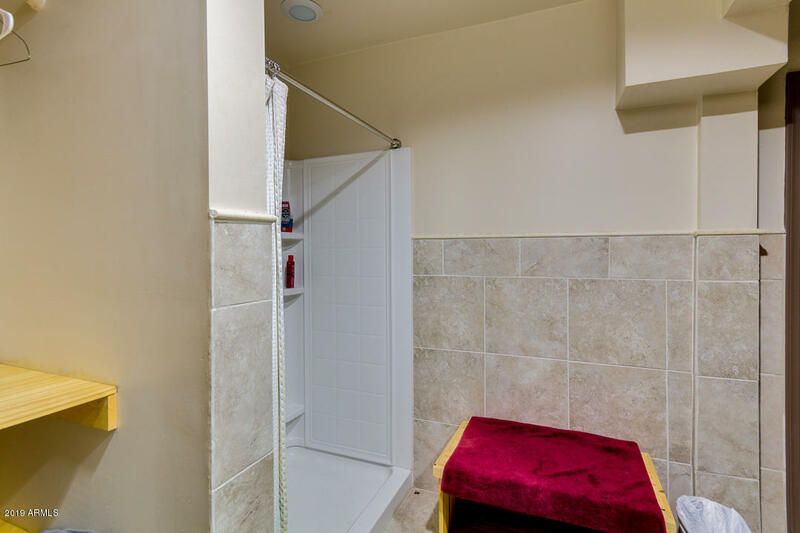 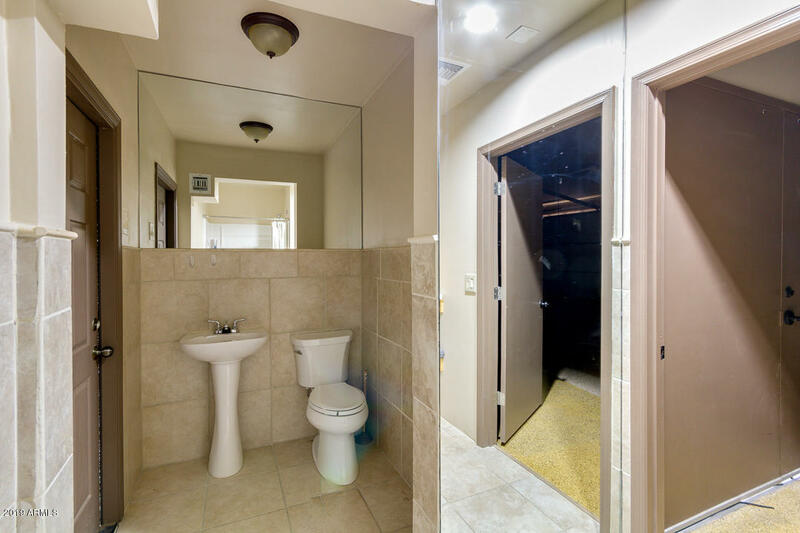 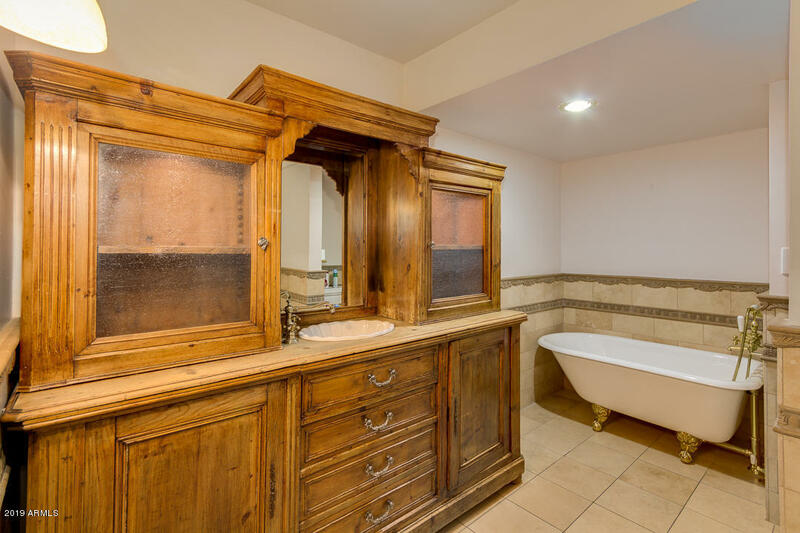 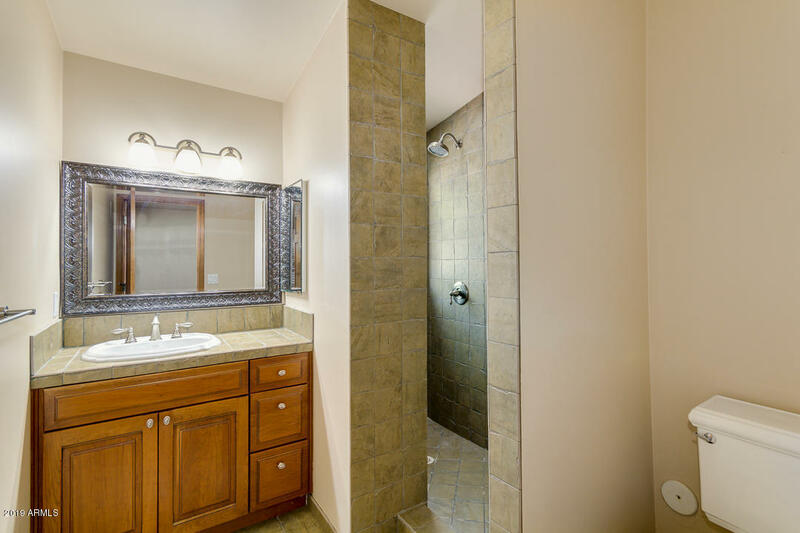 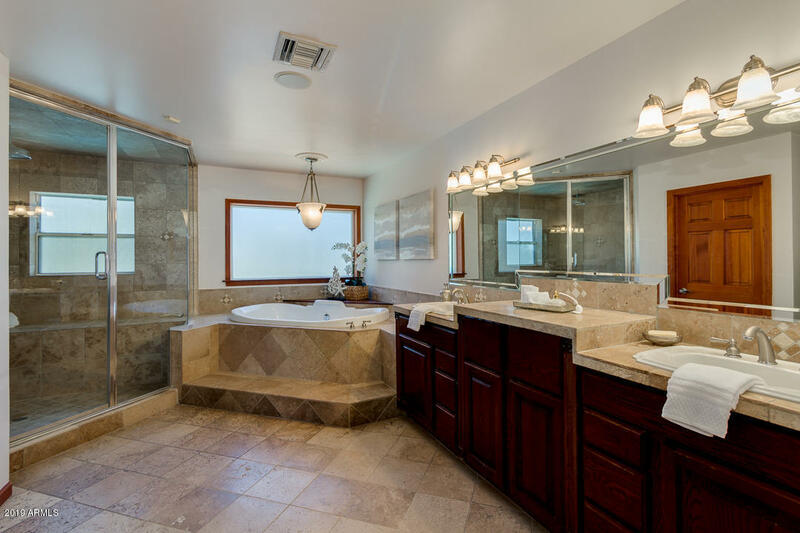 The home has a full guest bathroom on the 1st floor with custom tiles. 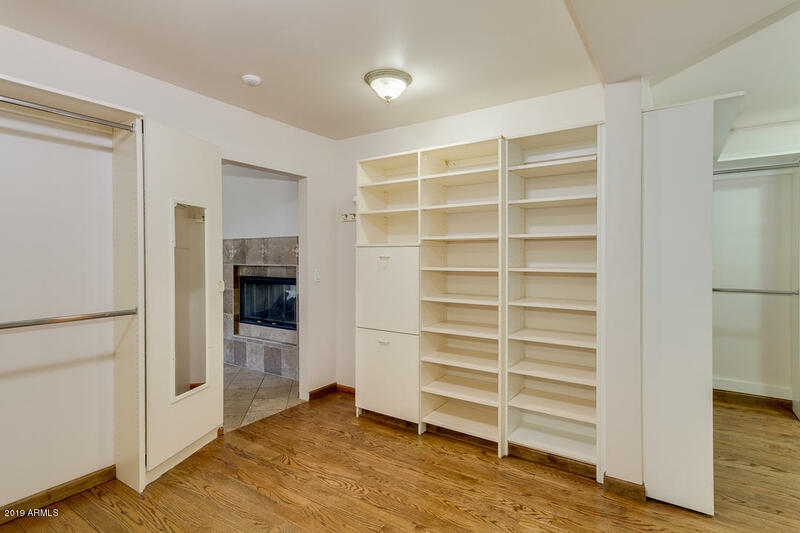 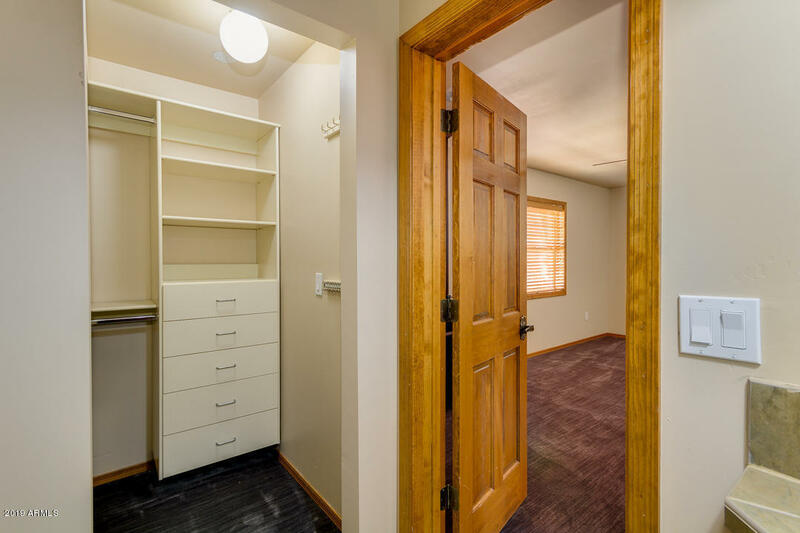 All 5 bedrooms have full ensuite's and walk-in closets. 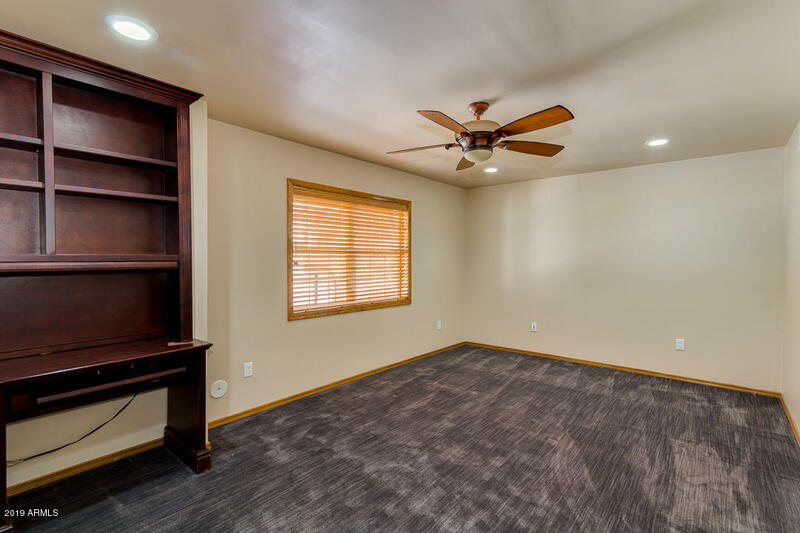 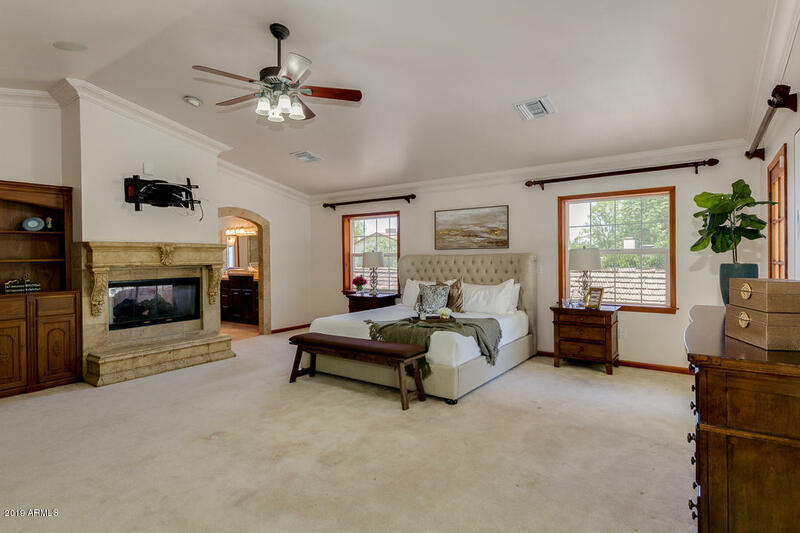 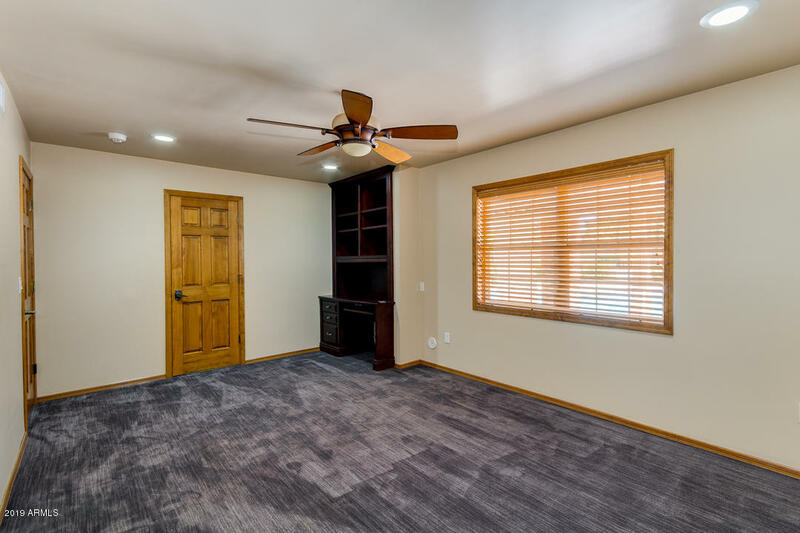 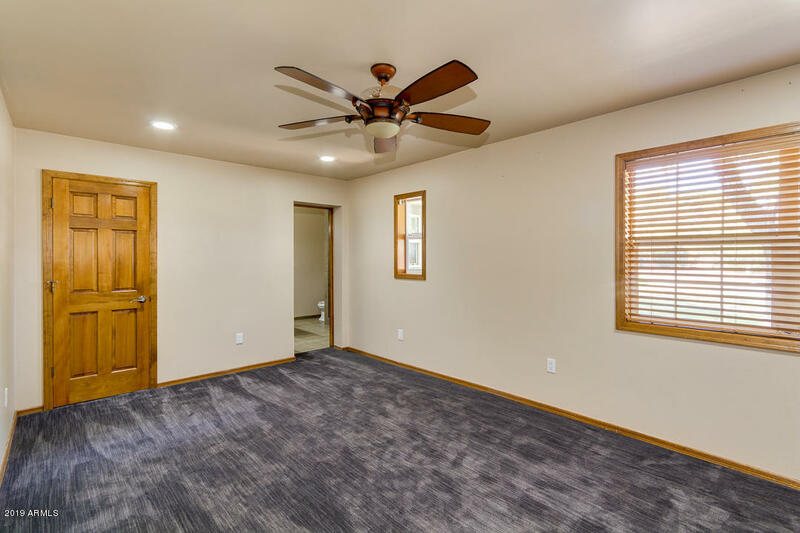 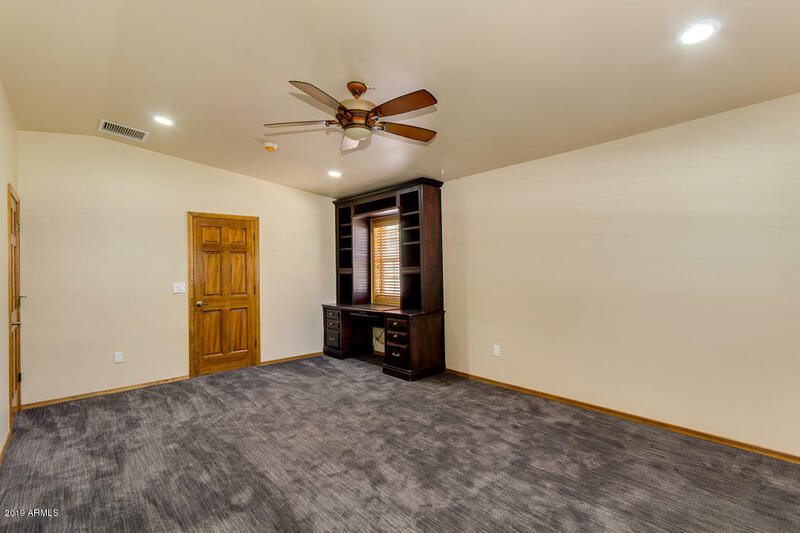 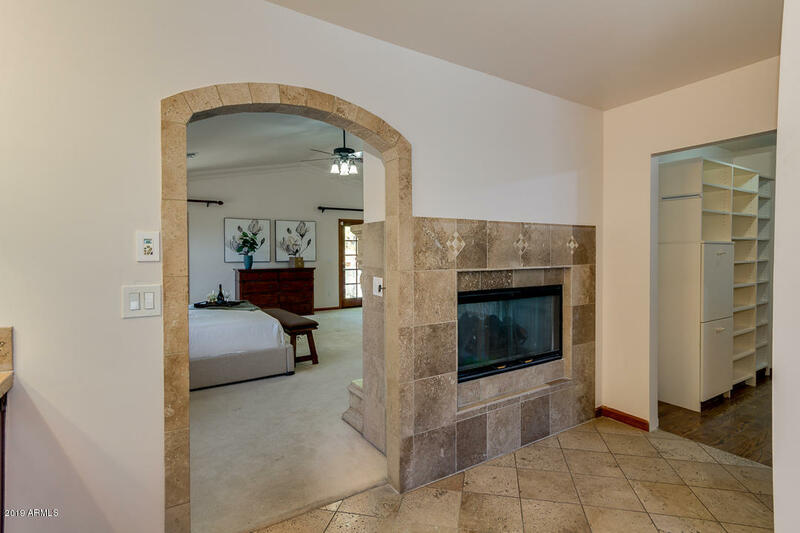 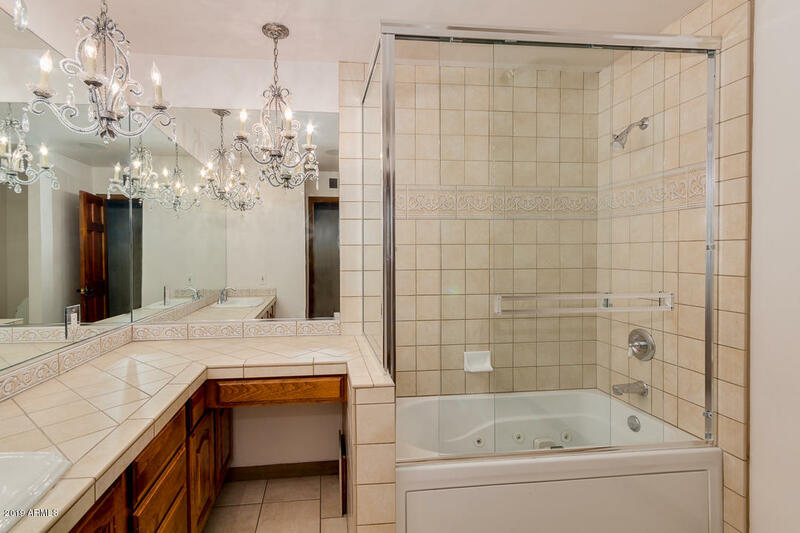 The Master bedroom boasts an oversized bedroom with gas fireplace, a large bathroom with soaker tub and steam shower, and an enormous his/hers closet. 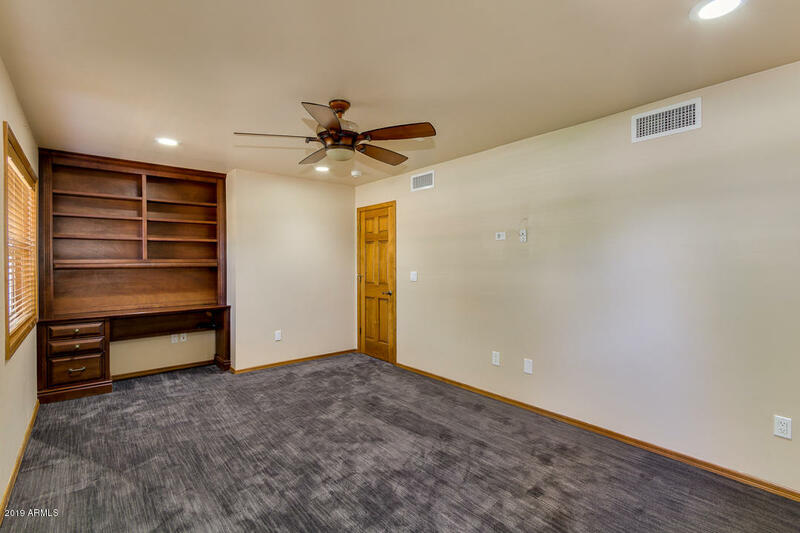 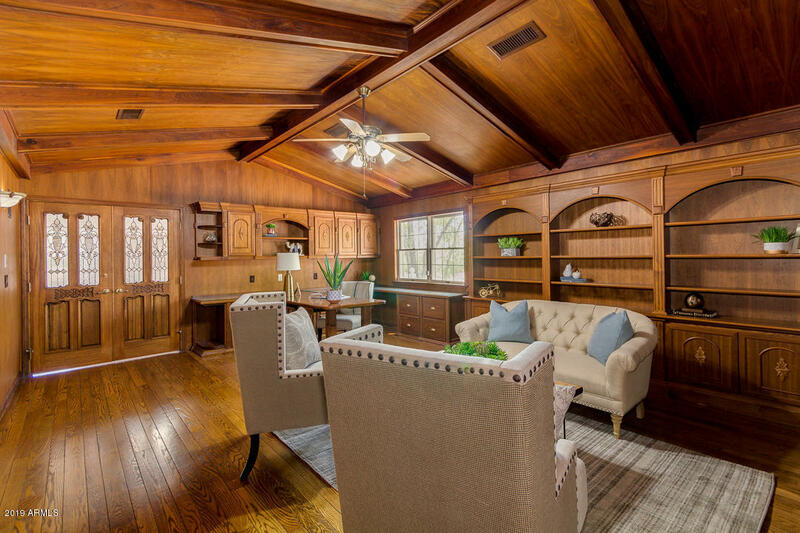 The Formal office also has a fireplace, walnut paneling and a custom his/hers desk area with a wall of custom bookshelves, there is also a half bath attached to the office area. 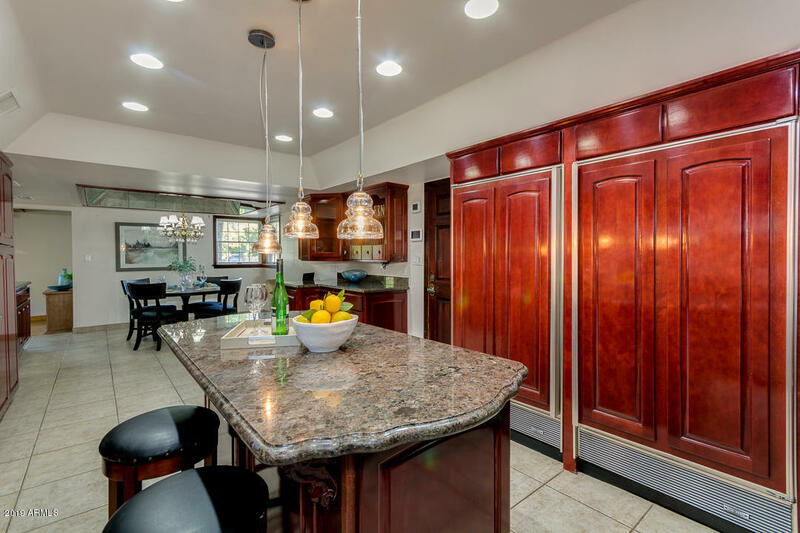 The eat-in gourmet kitchen consists of all high end appliances and countertops; granite countertops, a walk-in pantry, built-in side-by-side Sub-Zero refrigerator and freezer, a 5 burner electric cooktop, 2 built-in wall ovens, built-in microwave, dishwasher, and eat-at island. 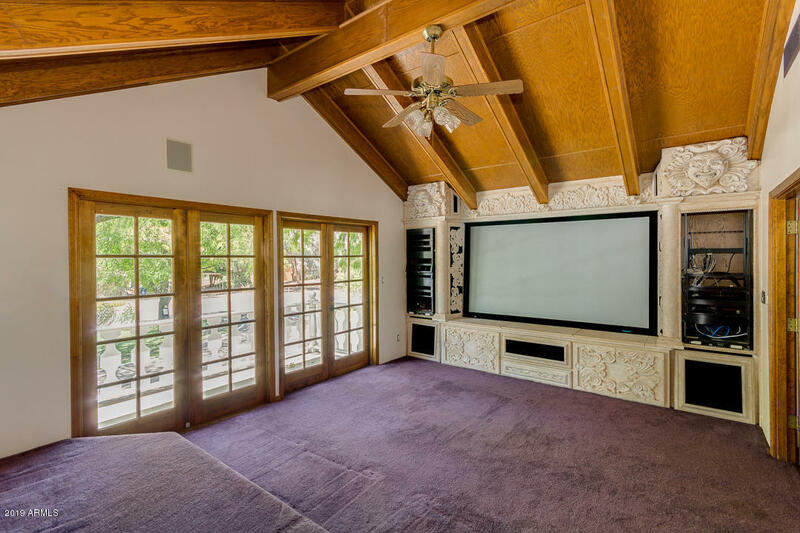 The theatre room was built on site and has 8 reclining theatre chairs. 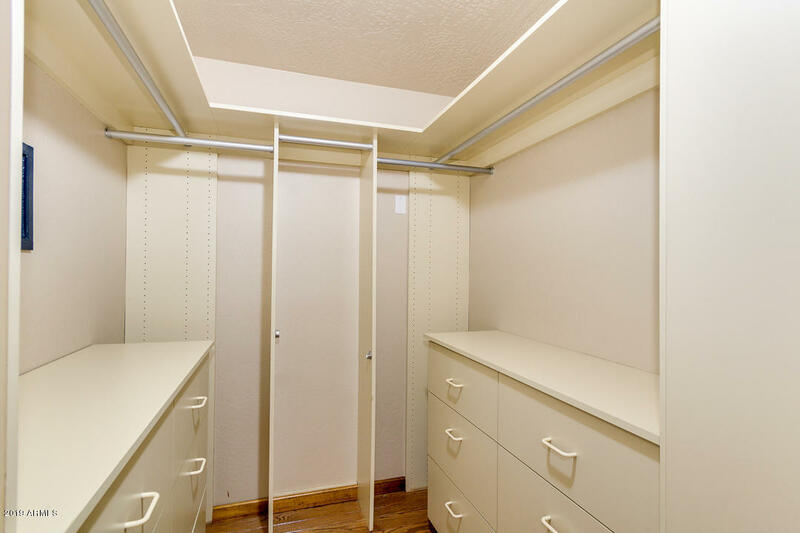 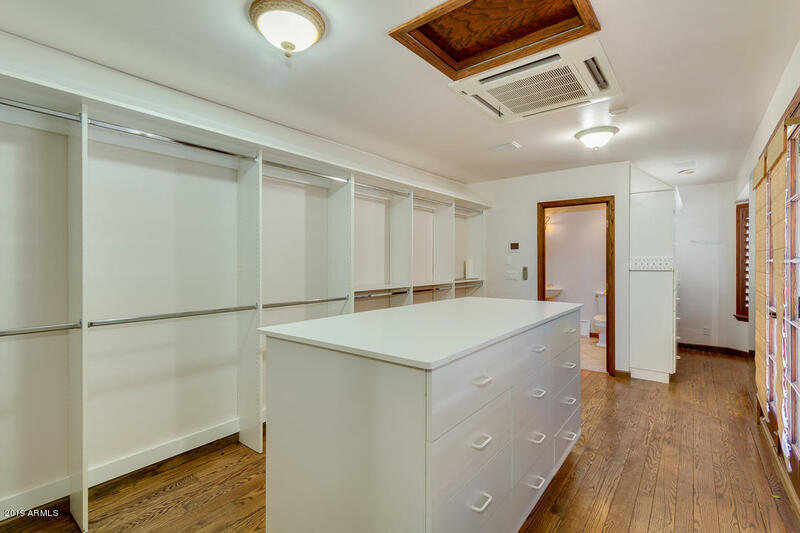 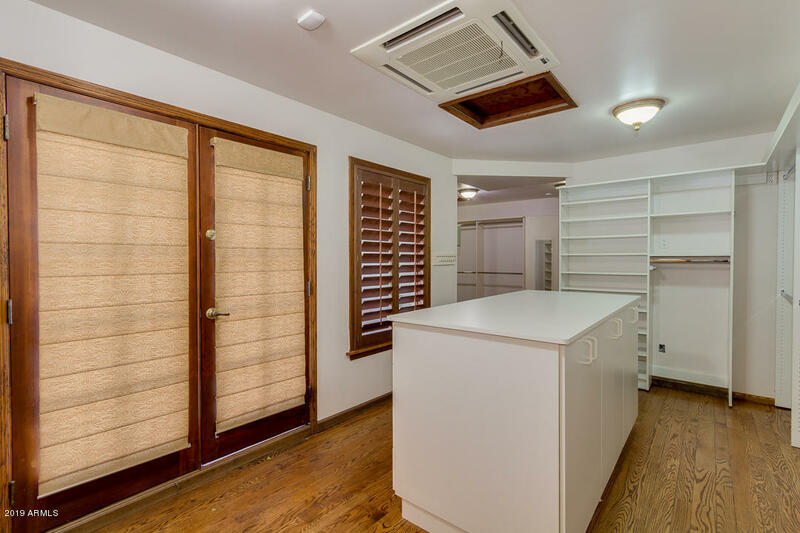 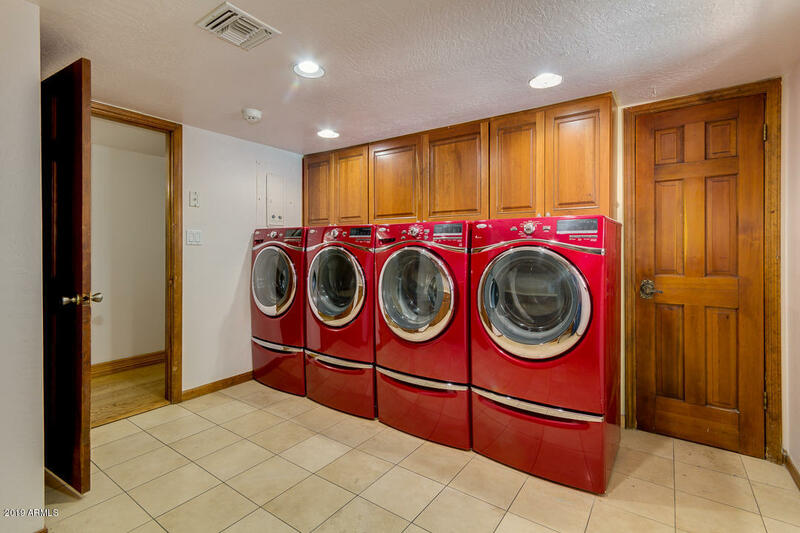 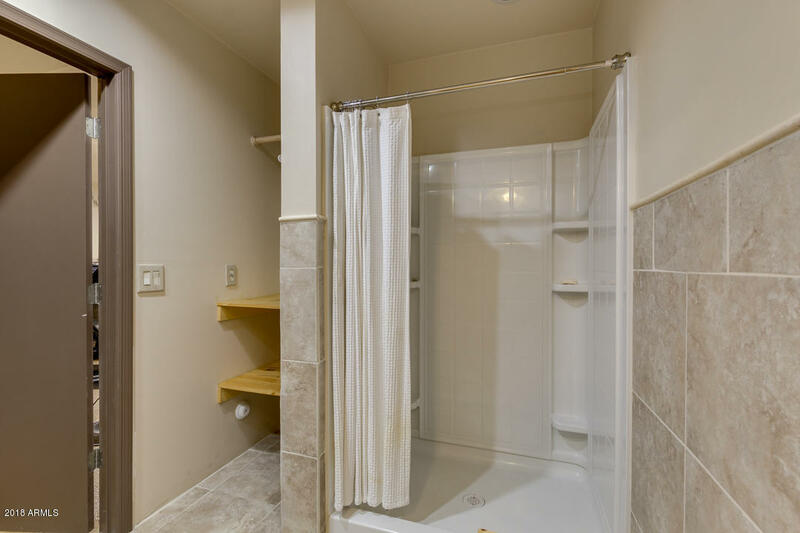 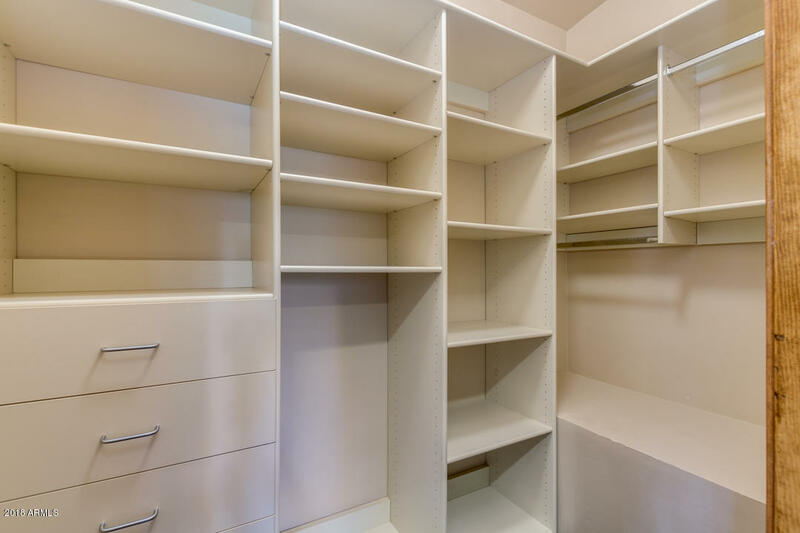 The laundry room is oversized and has hookups for 2 sets of washers and dryers and plenty of storage space. 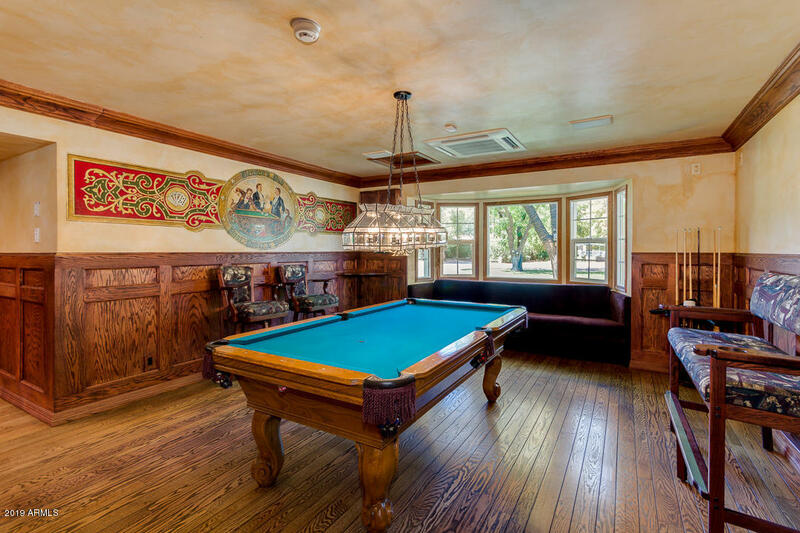 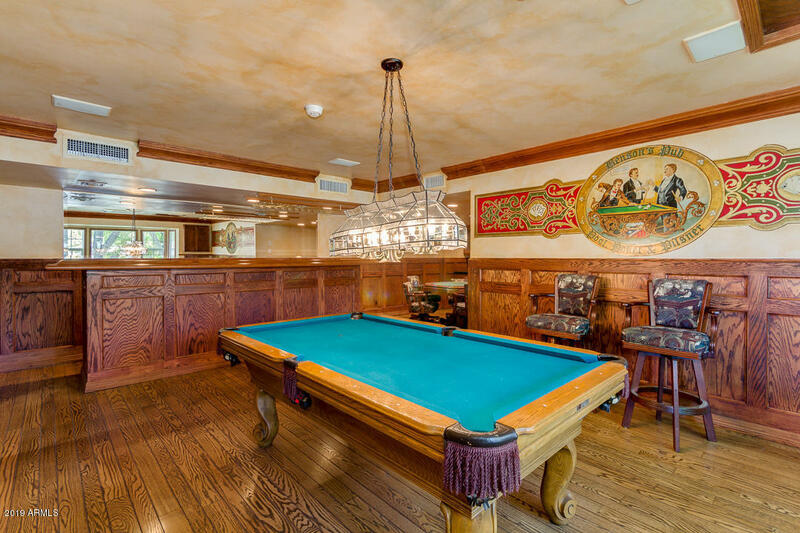 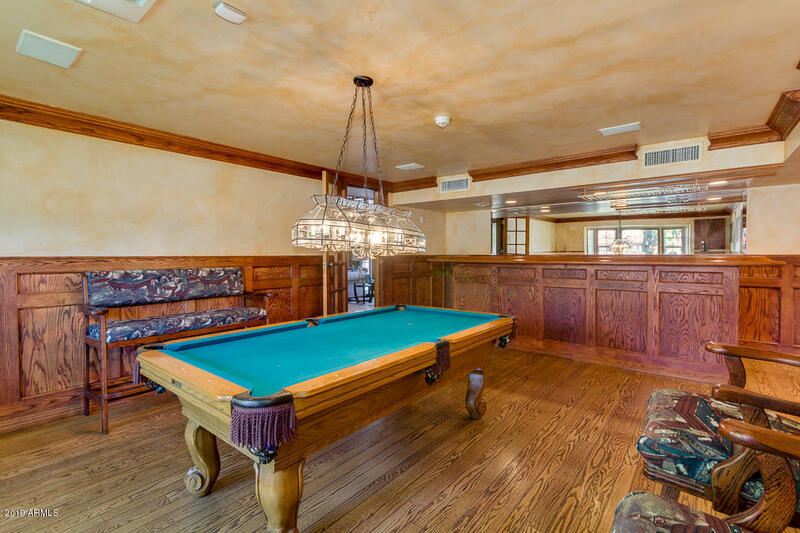 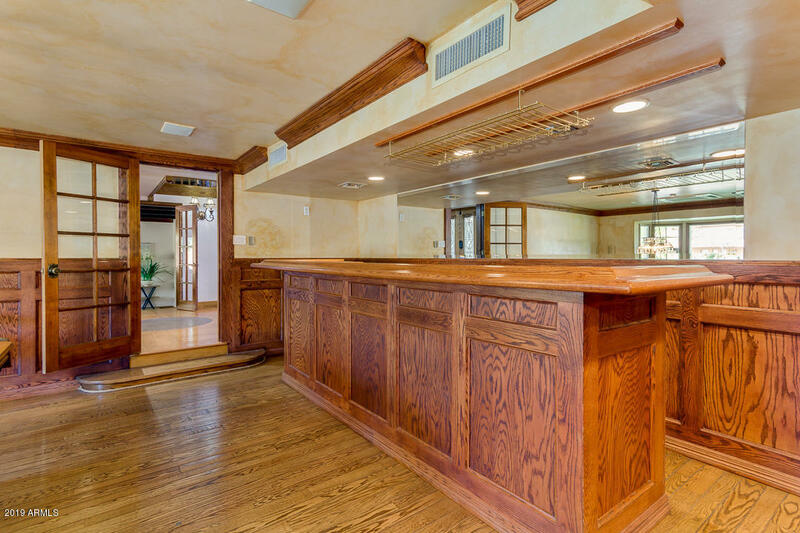 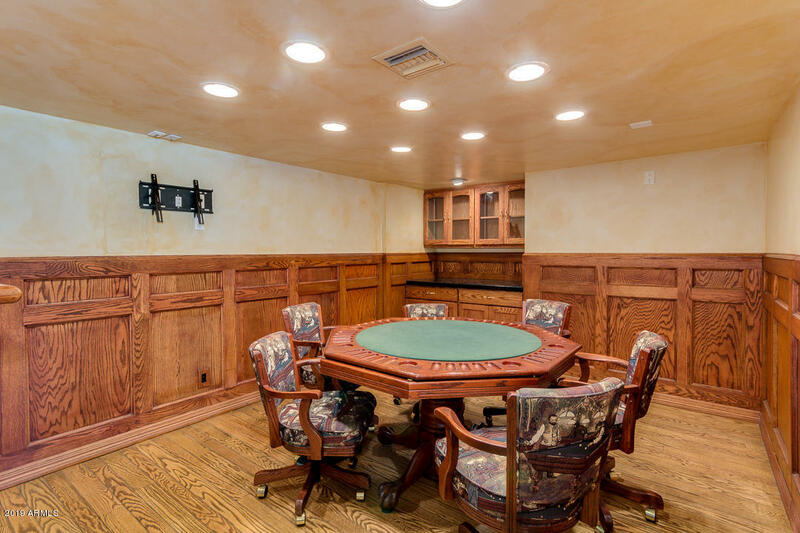 The large custom bar/game/pool room has an old world feel from the painting all the way through to the real oak wood paneled wainscoting, with an area for a pool table, a poker table and plenty of seating at the Bar itself. 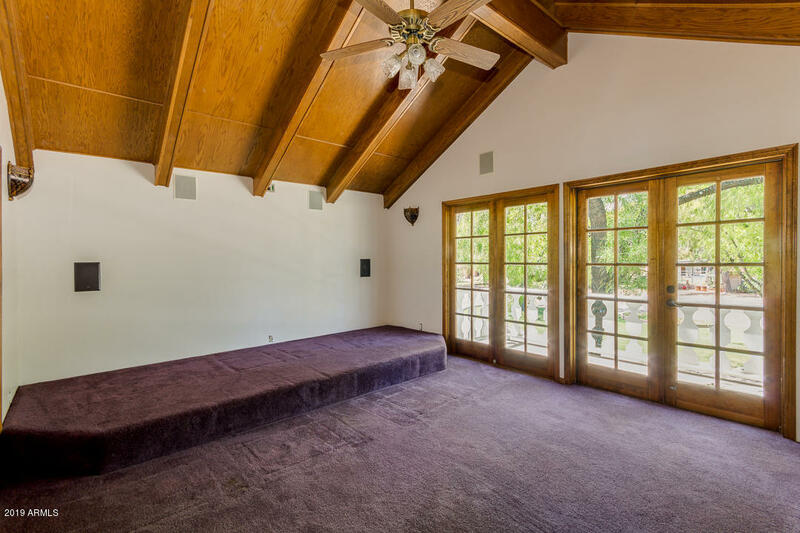 There is an additional den at the back of the house. 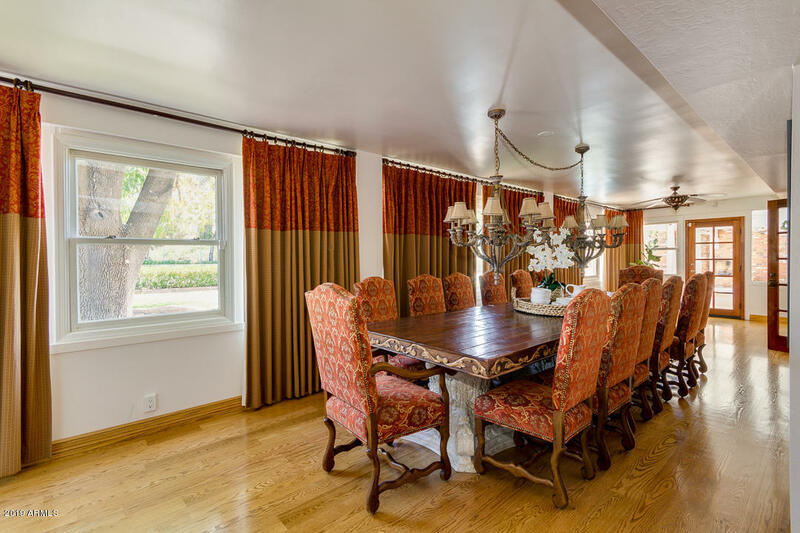 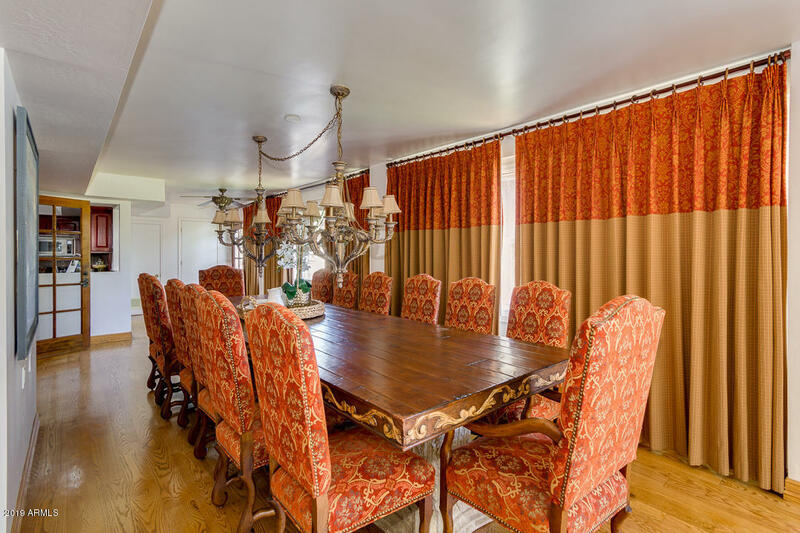 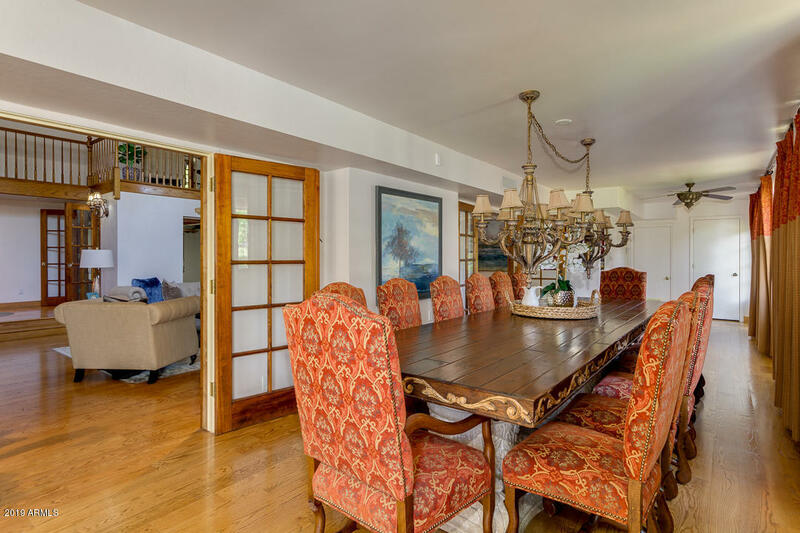 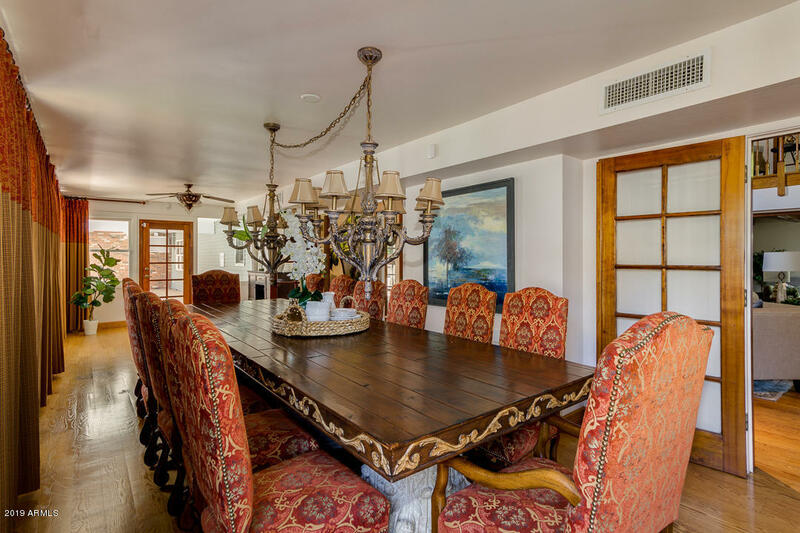 The formal dining room can hold a small table up to a table for 20 people. 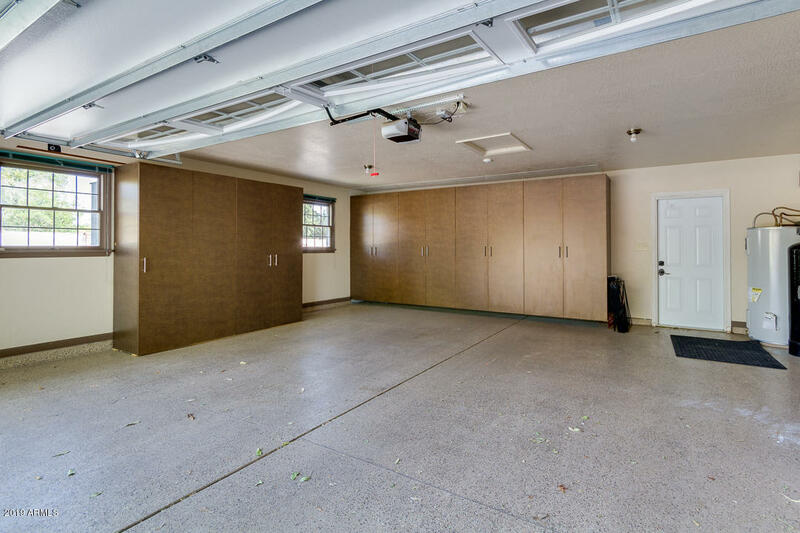 The garage attached to the main house is a 2 car garage. 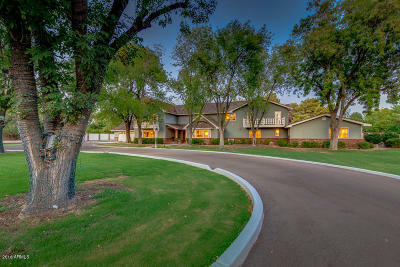 The back 3 car garage is attached to the guest house and air-conditioned gym/multipurpose room. 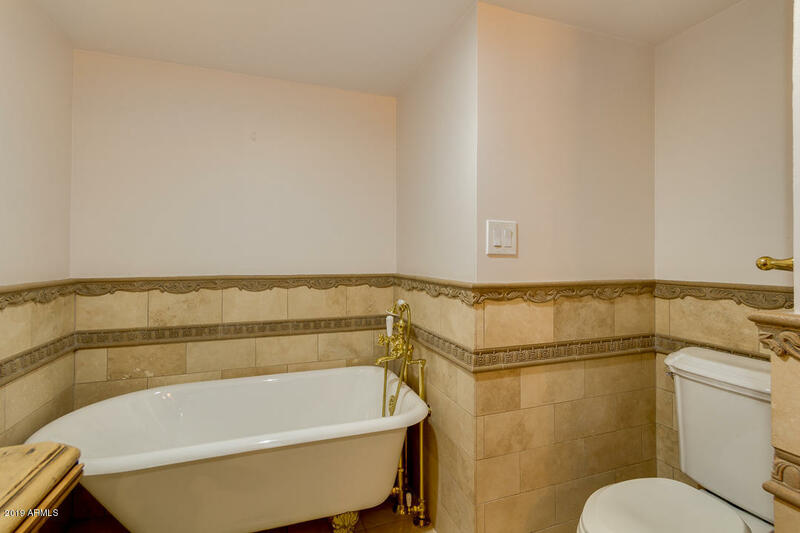 The guest house is a one bedroom with a full kitchen with sit at bar, living room and full bathroom. 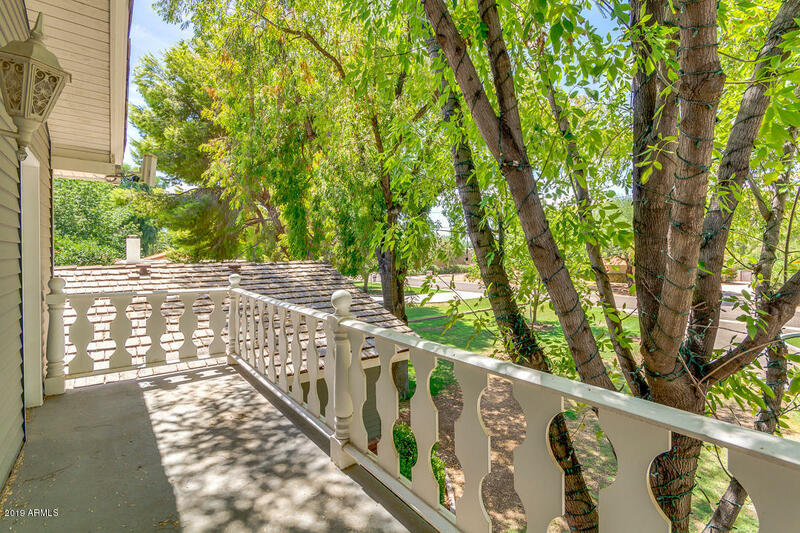 The back yard is a families dream come true. 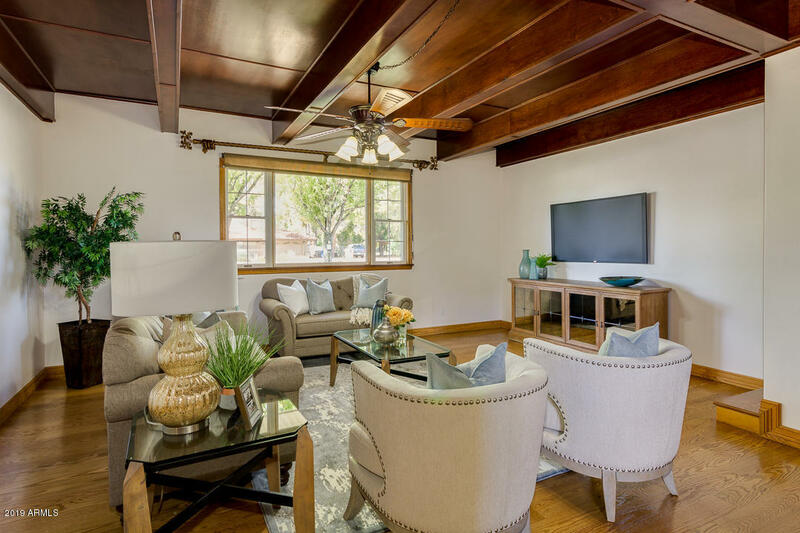 2 patios, the upper that stretches almost the entire back of the home and the covered patio that has plenty of room for those family gatherings and backyard BBQs. 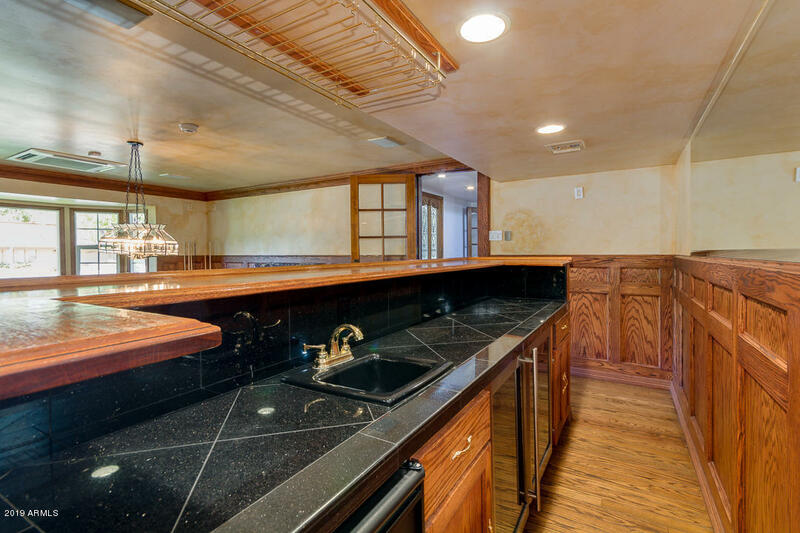 There is a big fireplace and BBQ area with a refrigerator along with another gazebo area as well. 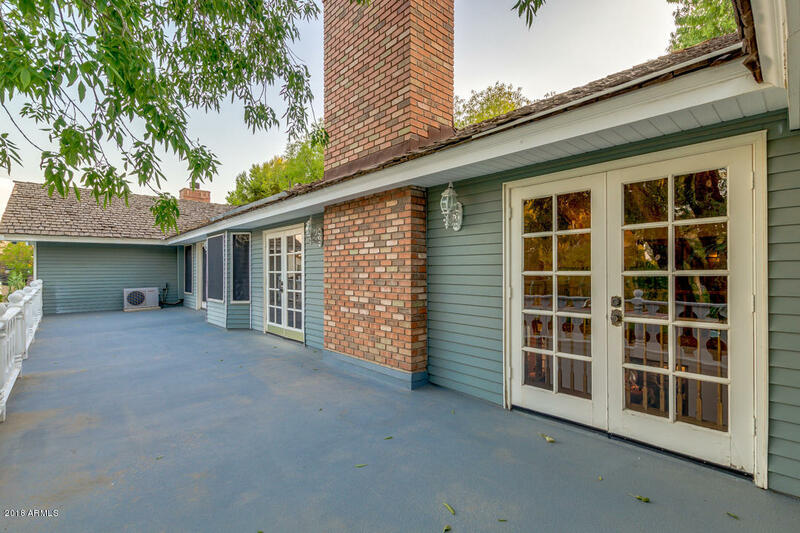 Let's not stop there, the backyard also has a full sized sport court, which hasÃ¢âfull sized regulation tennis court, half-court basketball, and a volleyball court. 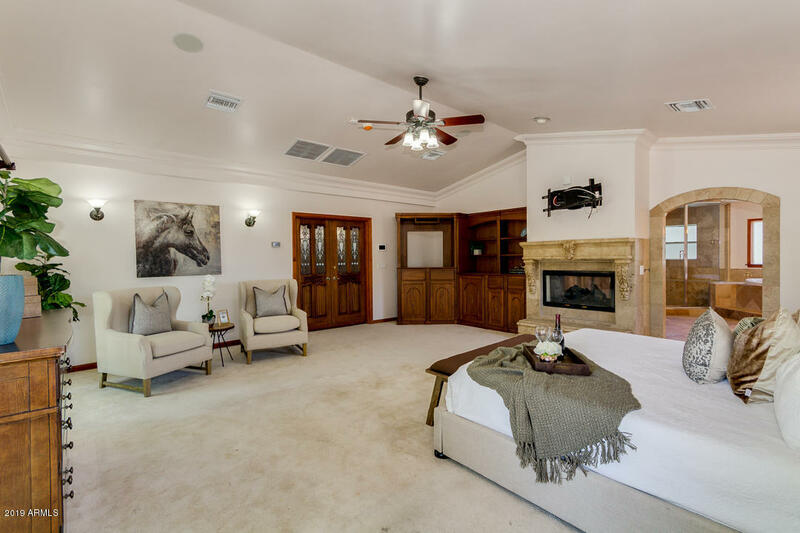 Don't forget there is also room for horses if your heart desires. 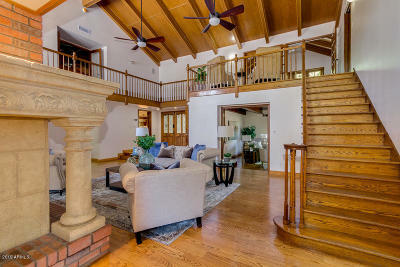 This property is a must see, its location alone is prime. 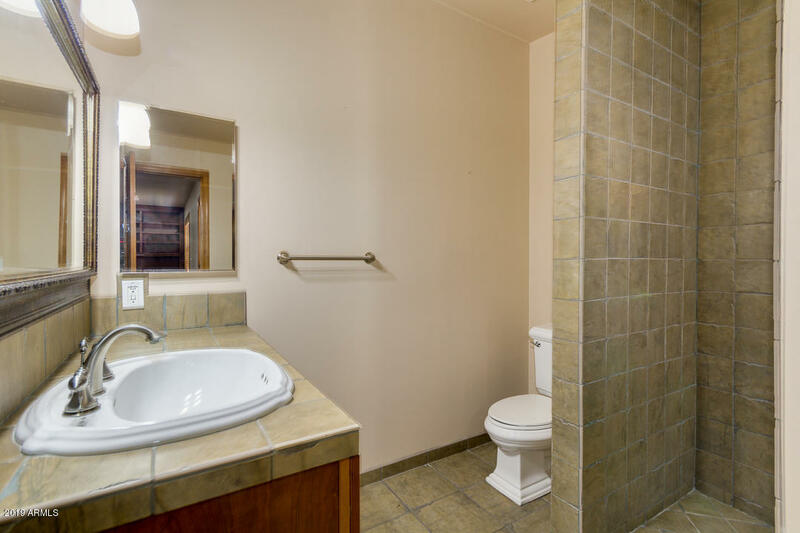 10 minutes to the airport and ASU. 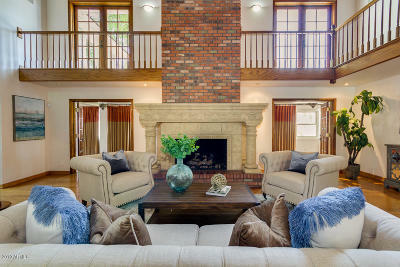 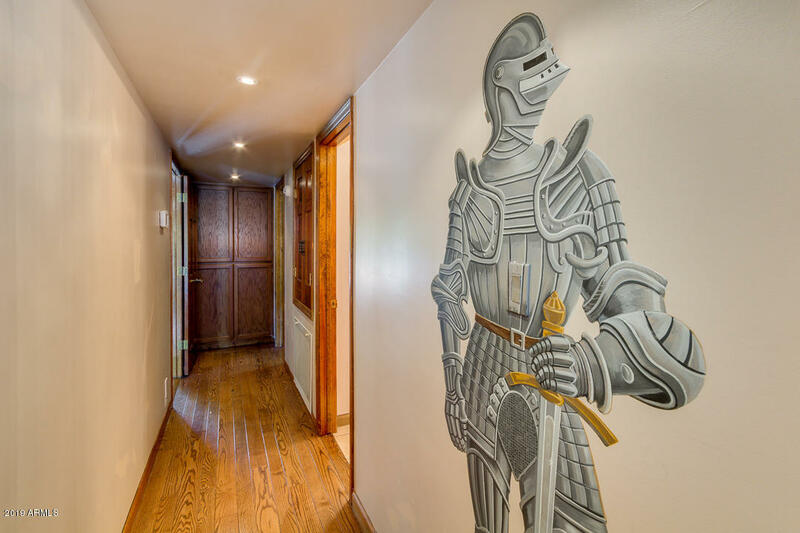 This home is an entertainer delight and a families dream. 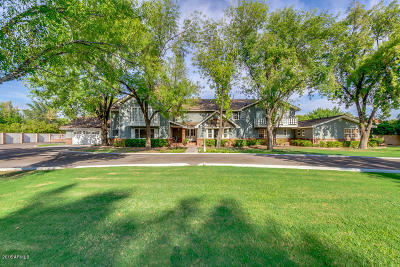 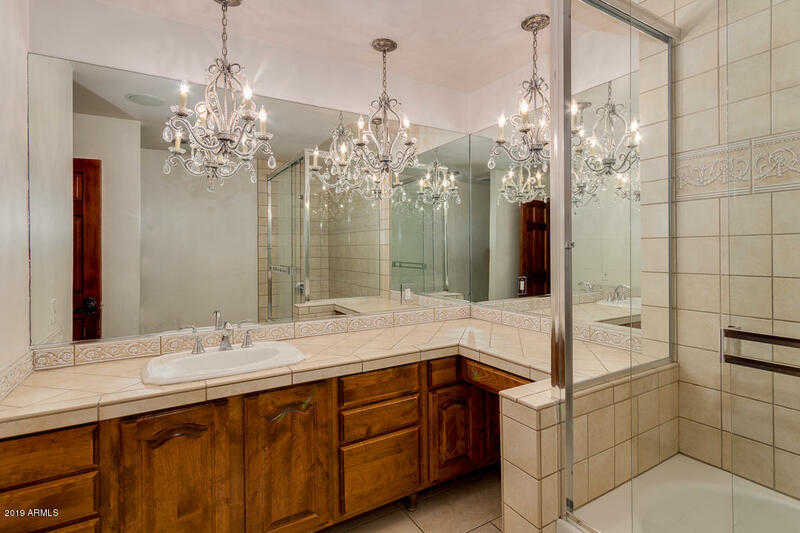 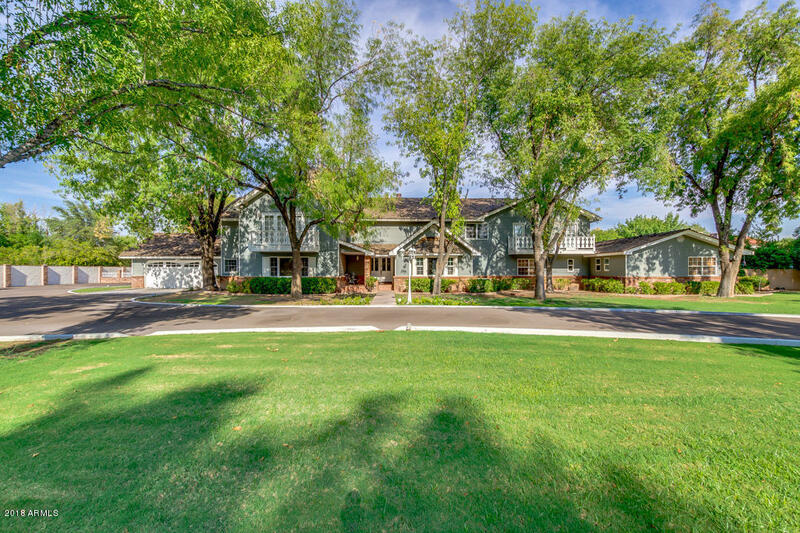 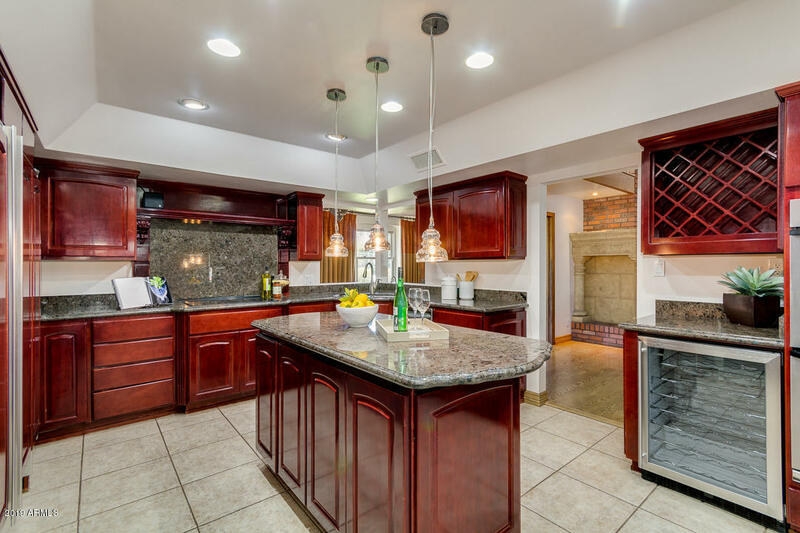 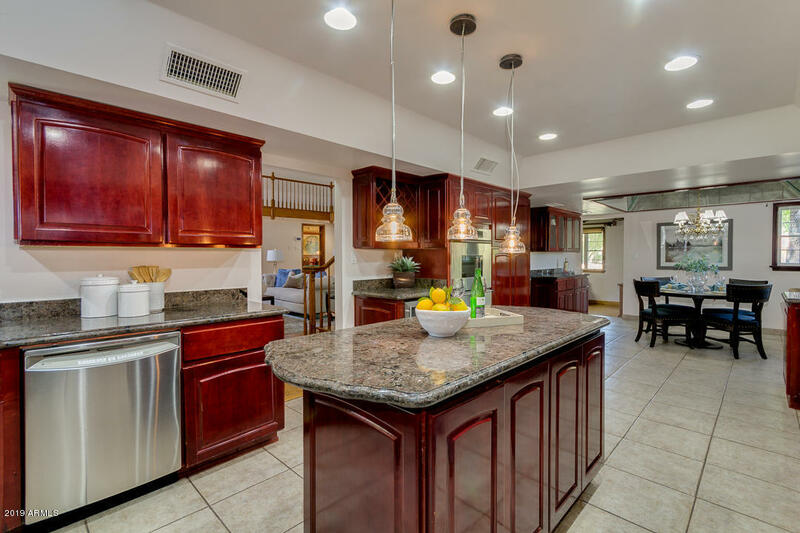 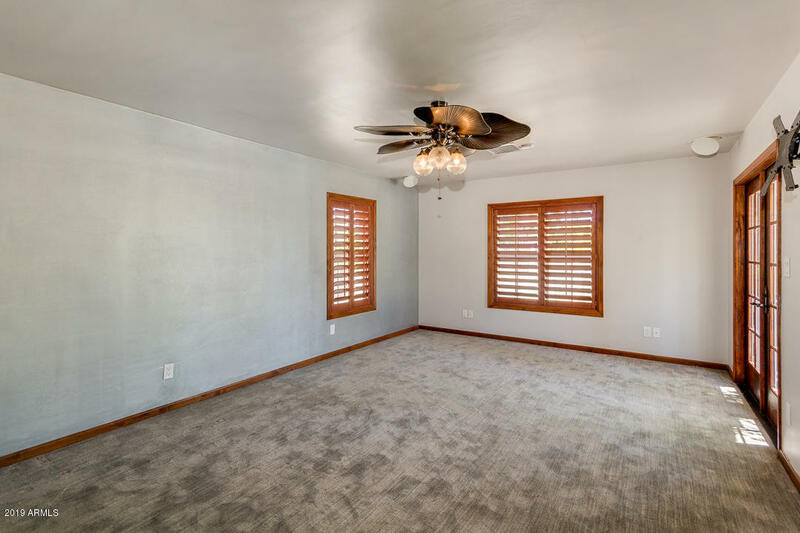 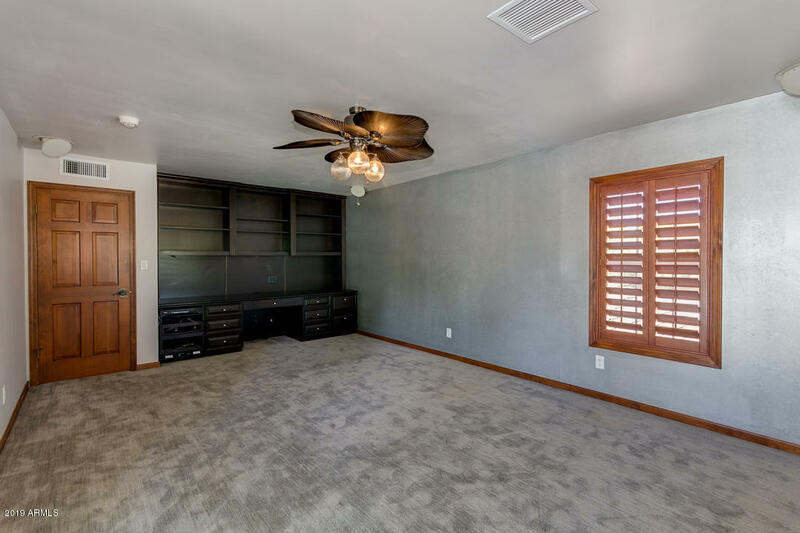 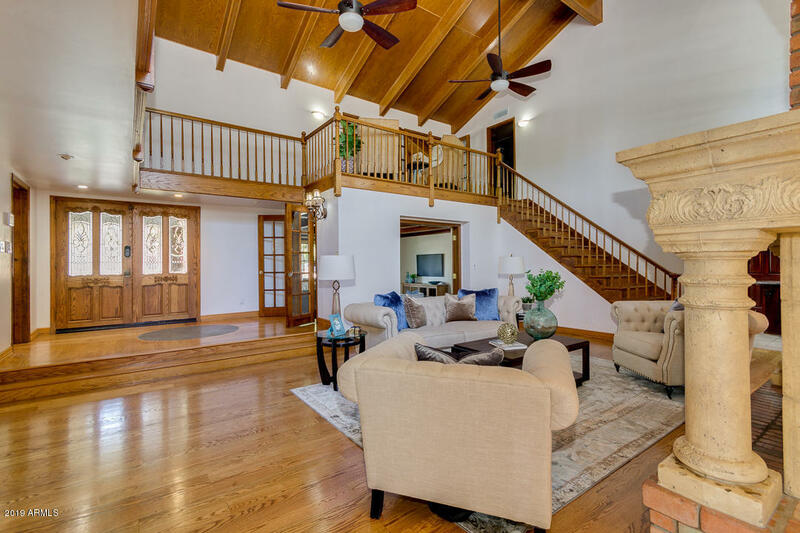 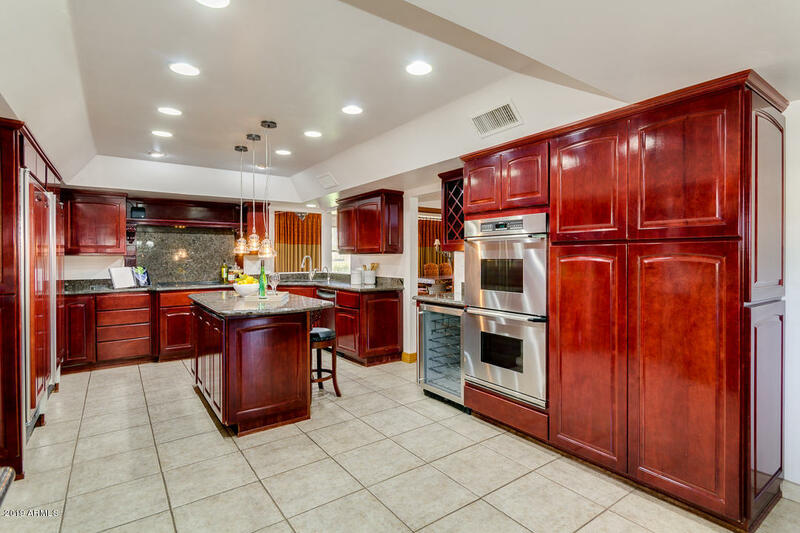 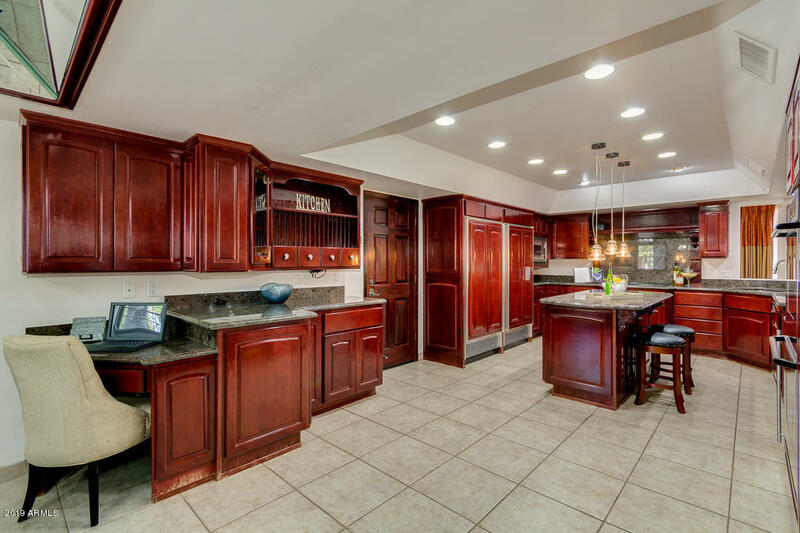 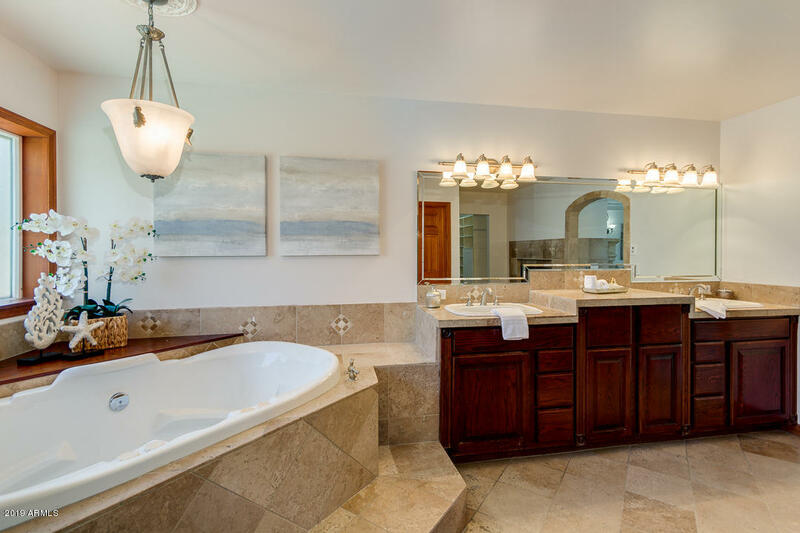 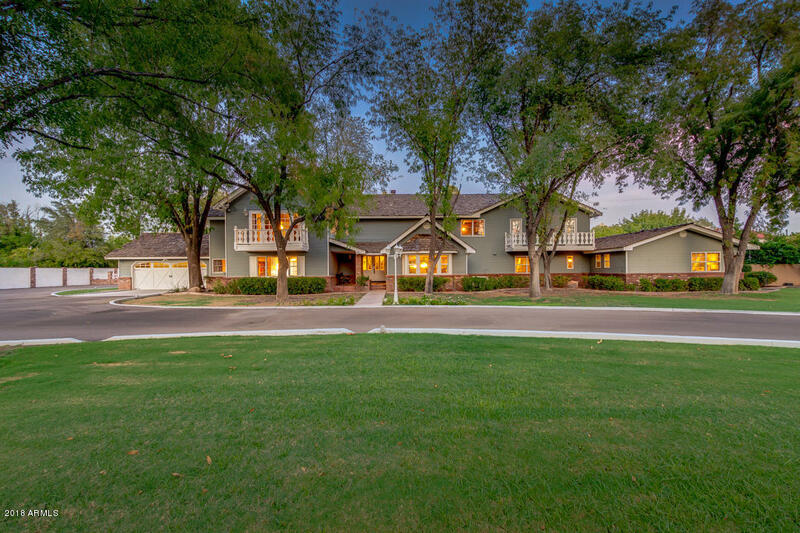 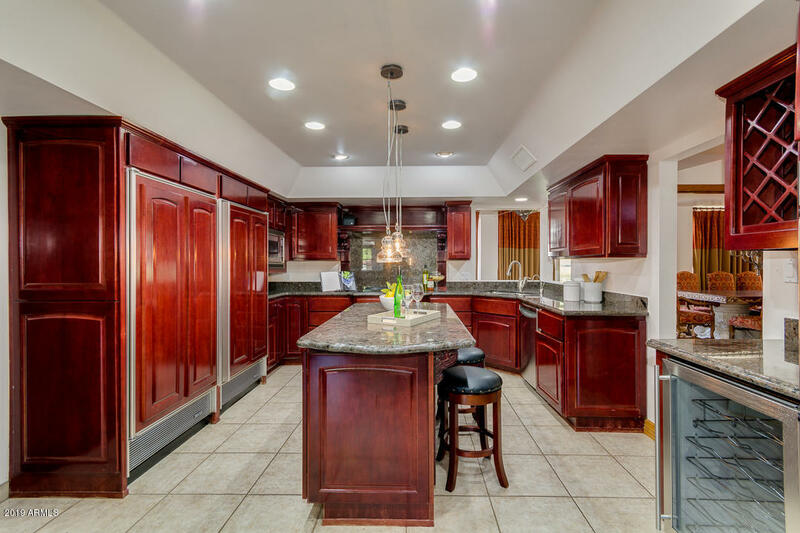 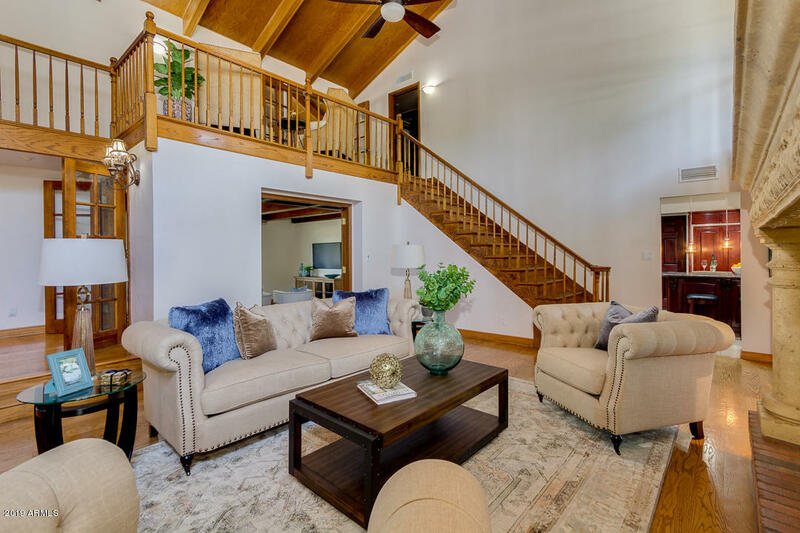 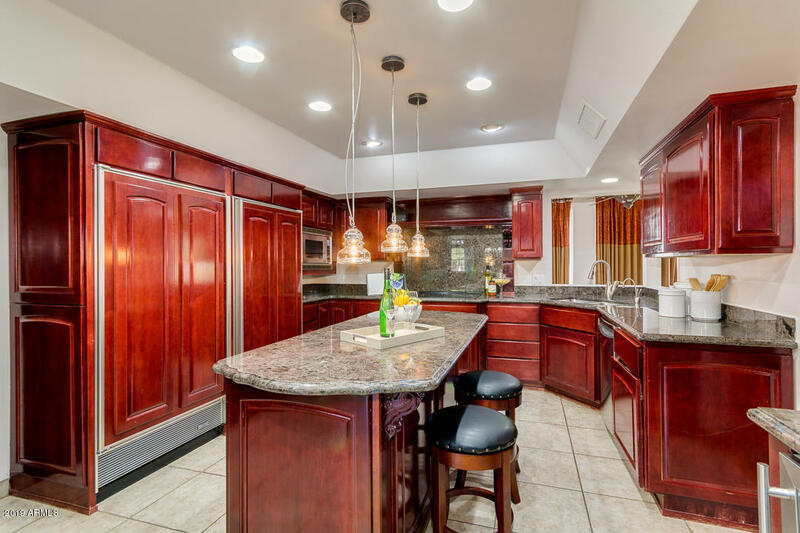 We can't say enough about this elegant home and its outstanding location to all Phoenix and Scottsdale have to offer as well as the award winning Kyrene School District. 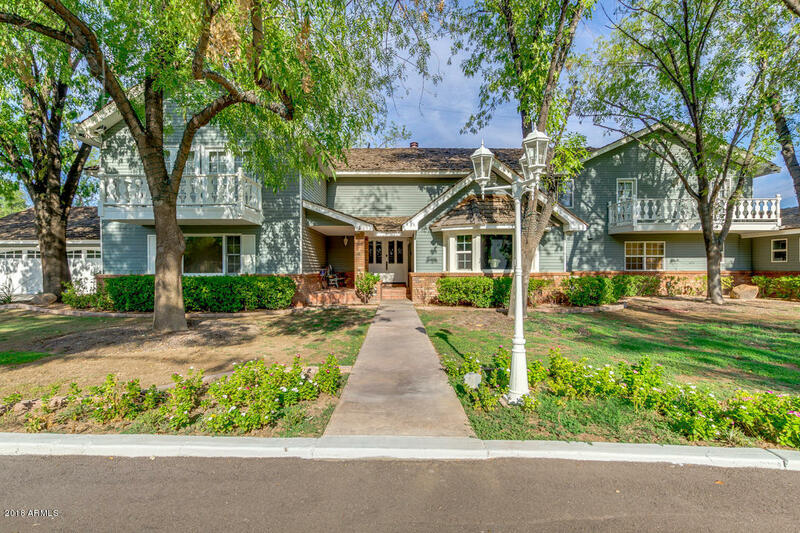 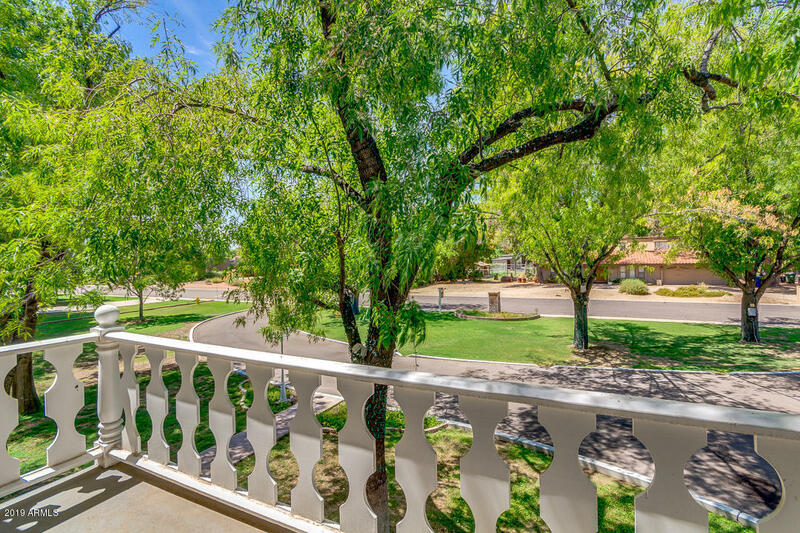 Don't miss your opportunity to own a piece of paradise in the heart of Tempe. 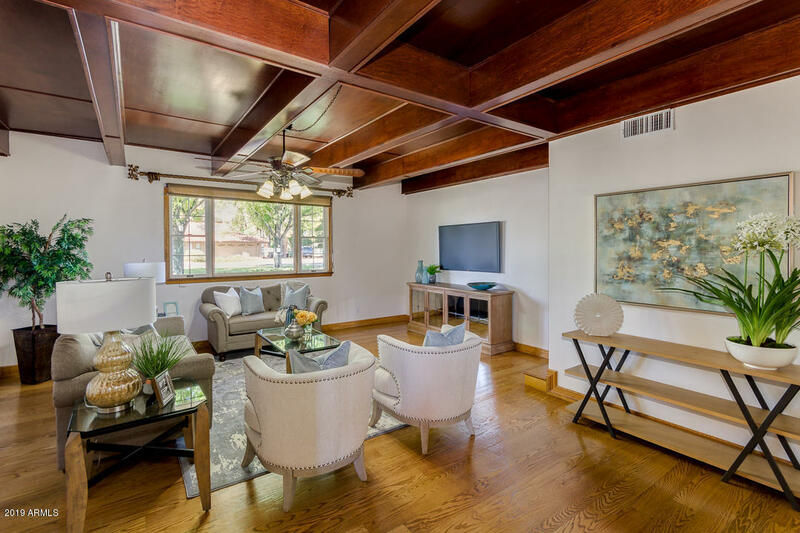 Make an apt today!